Here we are! The very last day of the countdown! It certainly has been a fun one, hasn't it! Today I get to formally introduce two of the greatest sets from this release! You've already seen bits & pieces of this set throughout the week and let us know loud and clear that you LOVE it! Dawn McVey's new Background Basics: Woodgrain is an amazing building set that allows you to create and customize a variety of woodgrain patterns. It is so easy to use and really goes with almost anything! A fantastic basic that you will find yourself turning towards again and again! Background Basics: Woodgrain will be available for sale on April 15th. Background Basics: Woodgrain contains a total of 3 woodgrain strips that allow you build your own woodgrain backgrounds. A complementary Woodgrain Impression Plate will also be available for $16. The second set I am showcasing today is one that I designed myself. Whenever I sat down to create a project for David, my grandfather or any other males in my life, I was left with too few options to use for focal points. This is a set I designed out of my necessity and desire for classic, stylish and tasteful male-themed images that I can use as an endless resource for masculine projects. But don't let the name inhibit your creativity! Most of the images would work well on cards for any recipient depending on your color scheme and application, as I will show later in this post! Masculine Motifs will be available for sale on April 15th. One last introduction for this month is a beautiful patterned paper collection that Dawn also designed, entitled Dotty Biscotti! (Fun name, right?!?!?) Our standard white patterned paper has been transformed and printed with a kraft background, with several variations of colored polka dots. Dotty Biscotti will be available for sale on April 15th. 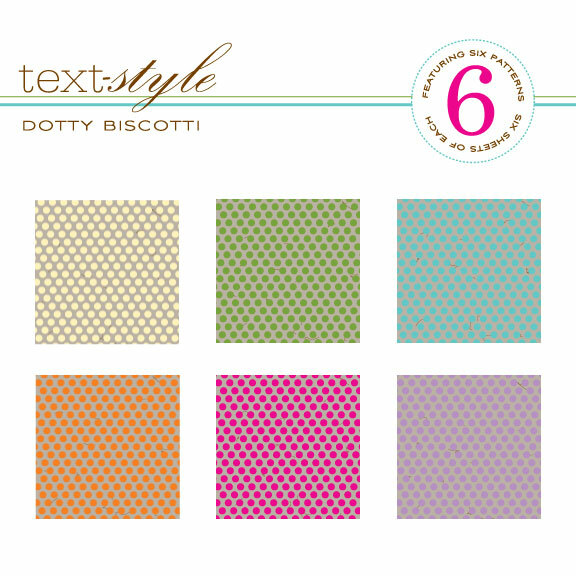 The Dotty Biscotti Collection contains a total of 36 (8×8) sheets, 6 sheets each of 6 colors. The colors include Hawaiian Shores, New Leaf, Lemon Tart, Orange Zest, Raspberry Fizz and Plum Pudding. Now, how about I show you some fun projects with all this goodness! 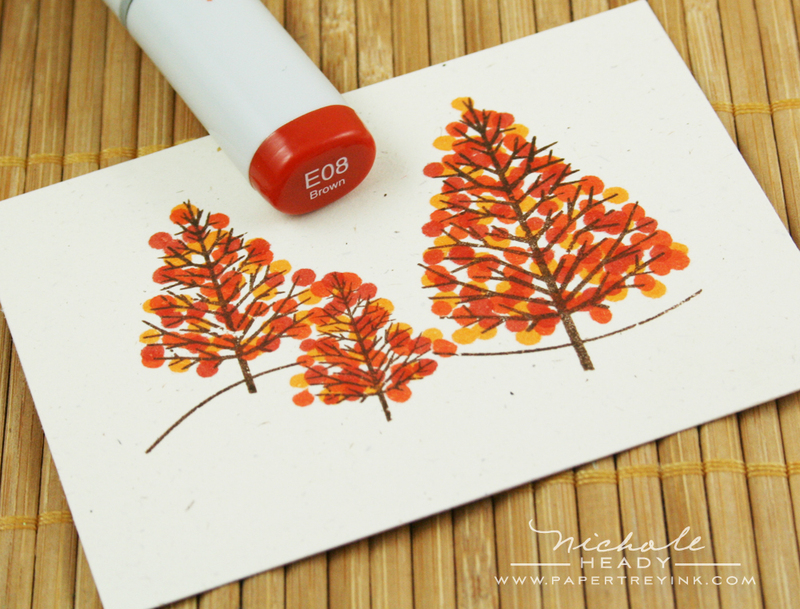 First I have a set of two cards to share with you, showing how this tree trio stamp from Masculine Motifs can work for any season! I thought I would show you step by step how this quick and fun technique can be done. I started by stamping the tree trio with Dark Chocolate ink onto Rustic Cream cardstock. For the autumn card, I first added random dots using a YR15 Copic Marker. followed by E08. That's all there is to it! I also added color to the ground under the trees to make it look more complete. A little Tea Dye Duo ink around the edges of the focal point block helped to "warm" everything up. 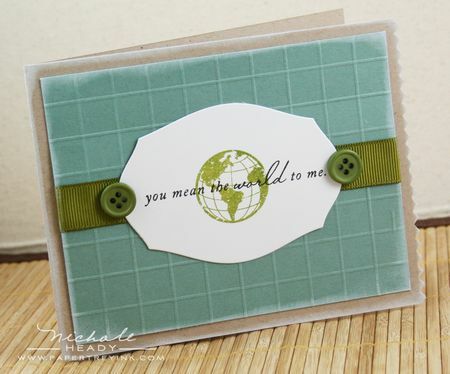 The sentiment "for my" and then "husband" are two separate stamps, so you can customize your projects for the recipient! I wrapped some Rustic Jute Button Twine around the card front three times and tied it off. I also used the Woodgrain Impression Plate on the Terracotta Tile mat layer. I just love the texture that this adds, as well as reinforcing the theme. Here is the same exact card, just done in different colors. I used the Spring Moss Copic Trio for the trees this time to give it a Spring/Summer look and feel. Note that I was able to swap out "grandfather" for "husband" this time. I love being able to customize like this with clear stamps! 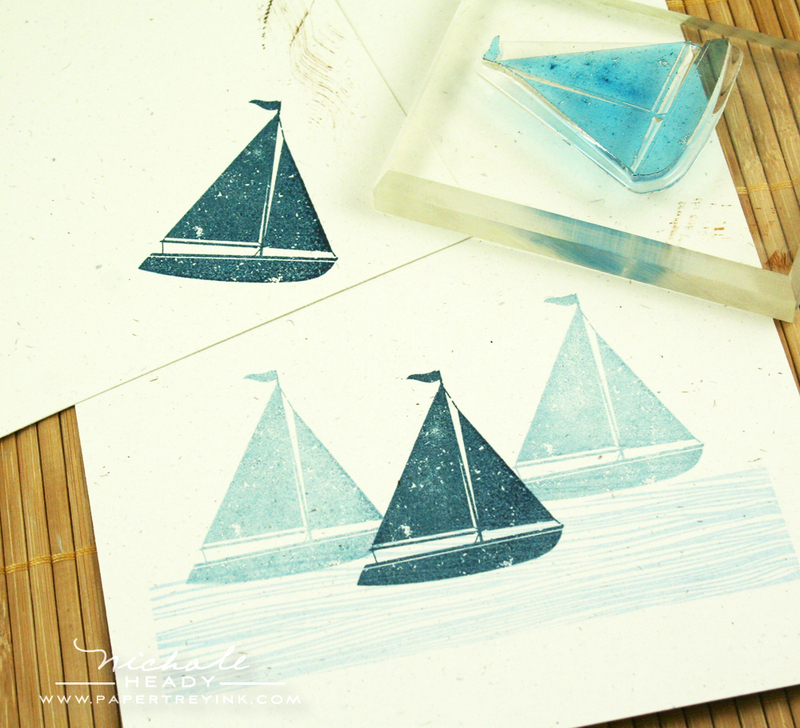 This is a super simple one layer card showcasing a beautiful sailboat image from the set! I started by stamping one of Dawn's woodgrain strips onto my Rustic White card base using Spring Rain ink. I then stamped the sailboat in the center of the card using Enchanted Evening. I quickly stamped a second time (without re-inking) just to the right of the first impression. I inked up the stamp again, this time stamping off on scratch paper, then stamping a second time to the left of the first sailboat I had added to the card cover. By adding a simple sentiment to the lower right corner of the woodgrain patterned strip, I am able to balance the project perfectly! 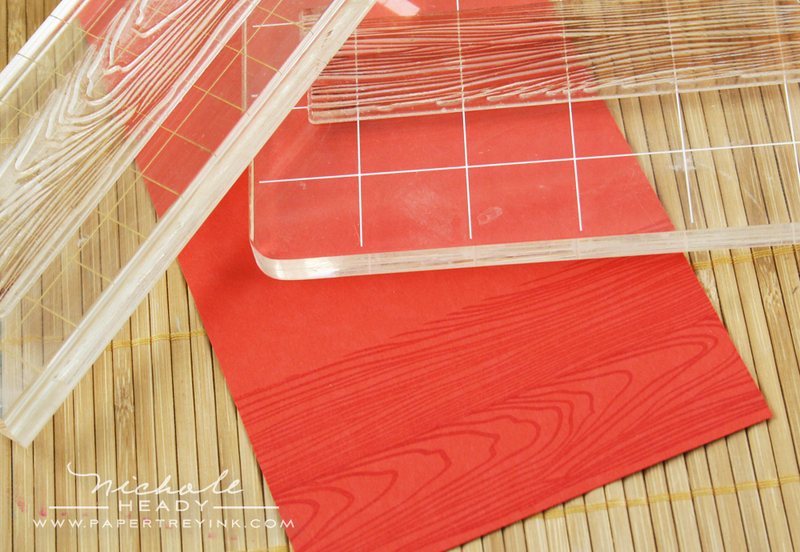 This card is so quick and easy to make, you could whip up a dozen or so in under an hour! This project uses one of my favorite images from the set, a Koi fish. I wanted him to have a little shading and depth, so I inked the entire fish with Orange Zest ink, then just barely tapped the Terracotta ink pad on the edge of the tail and the tip of the head. When I stamped it, it had a wonderful variegated effect! I built my own customized woodgrain background using two of the woodgrain strips from Dawn's new set. I started by stamping one strip across the bottom edge using versamark. I then added a second strip just above that. You continue to alternate between the strips until you've filled the front cover. Super easy! You might have noticed the unique black border strip on my project. This was created by stamping the solid line small argyle overlay from A Little Argyle down the length of the strip using Versamark ink. I then heat set it with clear Filigree embossing powder. For a bit of a different technique, I tore the top edge of the focal point and added a line of stitching. I chose to leave about an inch's worth of thread hanging off either side to add a little something extra to the card. I rounded all four corners of the car using my Corner Chomper (We R Memory Keepers). This project uses a few additional images from Masculine Motifs. 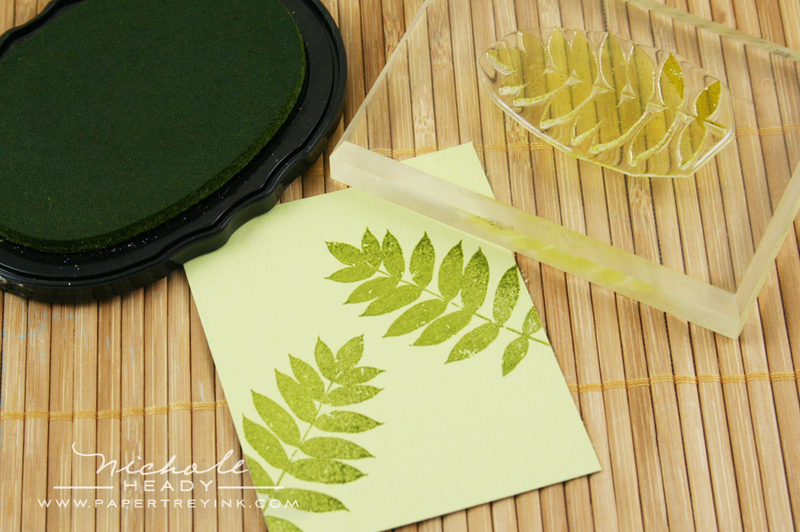 I started with a block of Spring Moss cardstock and added the fern image, stamped with Ripe Avocado. I then added the dragonfly & the sentiment with True Black ink. It's so fun to layer things and really build good foundations for a project this way. I couldn't find the "perfect" ribbon in my stash, so I ended up customizing our Black & White Stripes ribbon. I colored it with a YG95 Copic marker so that it would integrate all of the colors used on my project. I also added some woodgrain stamps on the background of my focal point block, stamped with Versamark ink. And I know…I know… I used the Woodgrain Impression Plate again on the cover of this card. But I can't help it! Honest! It's just that good!!! I have one more quick project to show you. This uses a globe & coordinating sentiment that can be found in Masculine Motifs. I started by using our new Mat Stack 1 die with Stamper's Select White cardstock to cut out the focal point shelf. The globe was stamped in Ripe Avocado and the coordinating sentiment was stamped directly over the globe using True Black. Just love these little images! I created the grid pattern on the background using my Scor-pal and score it every 1/2", then rotating theproject! *sigh* Just so in love with all of this! I vow to never dread creating a masculine project again! With these images in my arsenal, I can have just as much fun as I do create projects for the girls! We would love to hear your first impressions of these sets! Leave a comment today letting us know what you think and you could have a chance to win a fantastic prize package to help you create many of the projects from today's post! This AMAZING package has over a $70 value! This contest ends at 11:30pm EST, Wednesday, April 14th, so be sure to leave your comment before then! One winner will be randomly selected. Only one entry per person please. The winner will be announced by midnight on our April Release Winners page. Visit Dawn McVey's blog for more project ideas using both of today's sets! Becky Oehlers has shared a few more tips & tricks for using Fly Away. 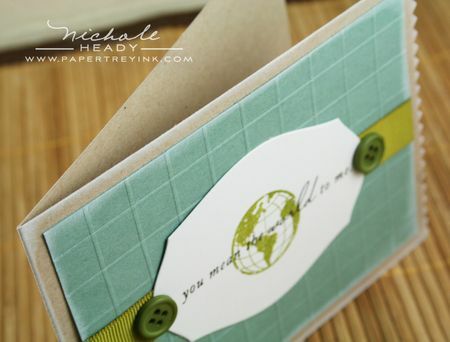 Heather Nichols is showcasing another project using her new sets, Have a Ball & Fillable Frames #3. Lisa Johnson has even more up her sleeve with Chair-ished & A Little Argyle. Kim Hughes has one last peek at her new Click Simple shape templates, Boys to Men. 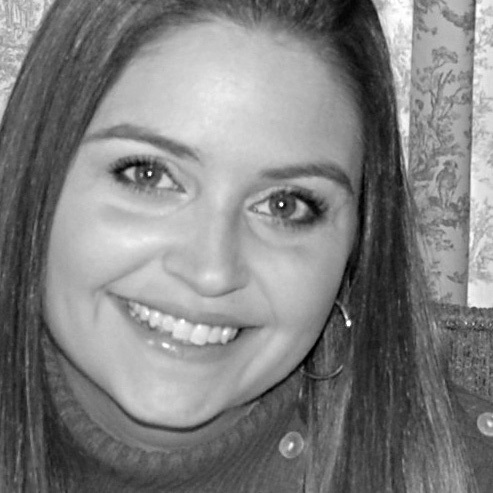 Ashley Cannon Newell, our Distinguished Guest Designer, has put together her very first blog post on our behalf! Be sure to stop by her blog and check out her amazing projects! For complete measurements & supply lists for all of today's projects, please CLICK HERE. Oh yes, I would make so many fun and non-girly cards with all this good stuff! I love the woodgrain stamp and impression plate, and I can’t wait to see all of the Masculine Motifs set. I adore the woodgrain! And that world stamp is divine! More great images and ideas. It will be very hard to figure out my order come tomorrow night!! I’ll take thee vow to never dread as well 😉 Great cards!!! The koi is my fav. What fabulously masculine cards and stamp sets! They look wonderful! But can I just say…the paper makes me VERY excited! I love the colors and the larger dot design! Fabulous in every way! yes! Love everything! Can’t wait the for release date! so cool and masculine, i really like the woodgrain embossing plate, so fun! I really like the images! This has been another exciting release. great job! I can tell I’m going to have to have this set. The tree and koi fish are great. I can’t wait to see the rest of the images in this set. And I do love wood grain stamps and impression plate! Your samples are so beautiful! I just love these sets!! Another great release. I am going to have such a hard time coosing when the products are released. Wow! I’m enjoying all the masculine card examples and it’s definately got my creative juices going. Can’t wait for tomorrow :). Wow! I have a lot of male projects coming up; birthdays, graduations, Father’s day, and my husband will be deployed and I love to send him a couple of cards a month. Thank you ladies so much, these couldn’t have come at a better time! Amazing as always! Your cards are so inspiring! Wow! Such beautiful cards and wonderful stamp stes. Woodgrain is at the very top of my list. I love how you colored the trees. There will be some serious budgeting tomorrow! Sigh. Yet another set for my wishlist…. Wow. Your cards are so beautiful. I love the woodgrain. I must have it. Love this. Beautiful work again! The masculine stamp set is a must have. Love it! I am very excited about the new paper. So pretty. I rarely make masculine cards because it’s out of my range. But now with these great sets and examples, I will definitely have some ready to go in my stash. Keep up the great work team! I think the trees are beautiful and boats on the water look so serene. You all have done a great job with this release. The samples have been outstanding and I can hardly wait to start. Thanks so much. An amazing release! Today’s introductions were so fun and “male” themed. I love the use of the wood grain background and impression plate with the masculine motifs. And Dotty Biscotti??? SO DELICIOUS! Wonderful masculine set! Love the look of the woodgrain! Dotty Biscotti. Oh my, I love it!!! And I need that masculine motifs set just because of this fish! Beautiful! Your cards are gorgeous! I can NOT wait until tomorrow night. The PP had me at DOT… I just love it and can’t wait to get it into my hot little hands. Thank you for another classic masculine PTI set. I am surrounded by men that love to receive cards that I make but I run out of ideas so fast! This set should last me at least a few weeks! Can’t wait. All the items in this prize package are must haves! Love them all. Love this. What great cards. Thanks for all the inspiration. These cards are awesome! I love so many masculine cards this month. I love the vibrant colours in some of these cards too! I seriously don’t know how you keep coming up with such awesome ideas! The Masculine Motifs images and cards are fabulous! I just love all of the superb techniques you used…copic dot leaves, hanging threads, and scor-pal grid! Love the Dotty Biscotti paper too! 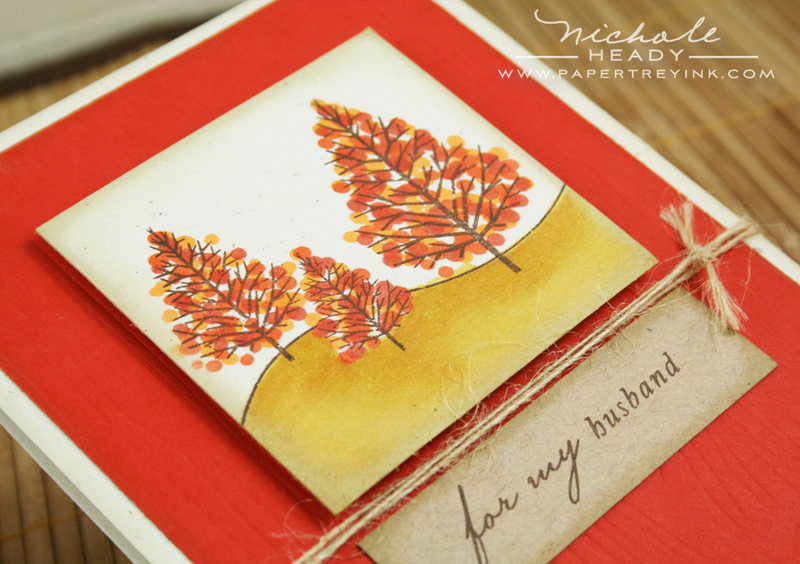 All I can say is I am in LOVE with the woodgrain stamp set…awesome! The masculine motifs would be so fantastic as well…I never feel I have the right image for cards for guys! Love the trees with dots. Pretty…yet masculine. Lol. I really love the woodgrain impression plate, and the masculine motifs could be used for sooo many occasions. Again, I love what you have done this month! Such a fabulous masculine set, and I love how well it goes with the woodgrain stamps and impression plate! I love the Masculine Motifs and Woodgrain sets. I’m always on the lookout for images that I can use for cards for men. I can’t wait to play with these! The Dotty Biscotti paper is too much fun. Thanks for the chance to win! I see more fonts that I love …and that woodgrain stamp and texture plate should be a must have, especially when doing more rustic projects. You’ve done it again! I love this Masculine Motifs set–it’s a must-have! I especially like the globe, something different from anything I have. Also love the fern and sailboat. Great project, Nichole! You’re amazing! I am totally amazed at everything there is this month. All of the card samples were fantastic. wow i love the woodgrain! Yet another great release! Can’t wait to get my hands on all the new products! Thanks again for sharing your creativity will us! You all do such a wonderful job and are such an inspiration to me! You hit the nail on the head with your comment about making male projects with this fabulous set in your arsenal. It’s the absolute truth and will truly be a set to treasure. Adding the woodgrain stamp/impression plate just ups the ante! Cannot wait to add this to my arsenal and I actually like doing male cards already! Wow, I have been waiting anxiously to catch more glimpses of the Masculine Motifs set, and I love it! It pairs beautifully with the wood grain backgrounds, and I can’t wait to play with it all! I am so happy to see all of these fantastic masculine designs. I too will never fear the male card making experience again. You all made it look so easy. Gorgeous work here!! Keep up the amazing work! This month’s sets really fill a hole in my stamp collection. These sets will make so many great cards for the men in my life, I can’t wait to use them! Creating masculine cards will be easy with all these! Can’t wait until tomorrow. I’m in love with masculine motifs and the wood grain sets! Perfect for the men in our lives. I am always saying that about everything you do!! You and your team are truly talented gals. THANKS for making some great products! This has been another amazing release. I love your samples and see that I simply can’t live without these wonderful new products! I love EVERYTHING! I love the new paper and of course the new stamps – nice to see masculine stamps that aren’t all about sports! Completely stunning and versatile is how I would describe both of these sets, but the woodgrain in particular has totally blown my world!! So excited to get everything in my cart tonight!! Love the woodgrain background, the Dotty Biscotti, and the fun masculine images. And the argyle background is the perfect compliment. Thank you for all the great inspiration! Great projects with these wonderful stamps. The woodgrain bg set and impression plate are awesome and add so much to the projects. Love the new patterned paper too! I love that the masculine images are not strongly “manly”, just normal things without any cute twist. I’m personally most in love with the globe, but I’m also intrigued by the coloring for the trees–cool! What else can be said about the wood grain stamps and texture plate? They are simply amazing! I love these sets. I have four sons ranging between 11 and (almost) 19 and have found it harder as they get older to find nice masculine stamps that aren’t cutesy. I can also see me using the woodgrain stamp and texture plate over and over again. I love all of this month’s new products! The impression plates and dies to go with the themes of your stamps make it so much fun to create cards. woodgrain is the bomb, on my definitely buying list. What an amazing set to use to make cards for the men in our life. Love the little globe! I can’t wait to get the Woodgrain impression plate and the new Dotty Biscotti paper also. Love that name for the paper! I love the Masculine Motifs and Wood Grain stamps and impression plate. It should be fun to make cards the the man in my life for a change. Masculine cards won’t be difficult any longer! Beautiful examples, Nichole! Dawn is such a cutie I’d buy it just because she created them! 🙂 Love the dotty biscotti in a major way and the wood grain with the trees….such a fab combo! I can’t tell you how excited about this release I am!!! I love all the masculine ideas you’ve given us- THANK YOU!!!! The woodgrain stamp set is SO clever! Pure genius! And I love the globe image in the Masculine Motifs stamp. I have a feeling that will get the most use! 😉 Can’t believe it’s already the day before release! Boy/Man cards are the hardest!!! These are all amazing!!! LOVE LOVE LOVE the woodgrain and never thought I would have. Can’t wait to use these!!! Wow! 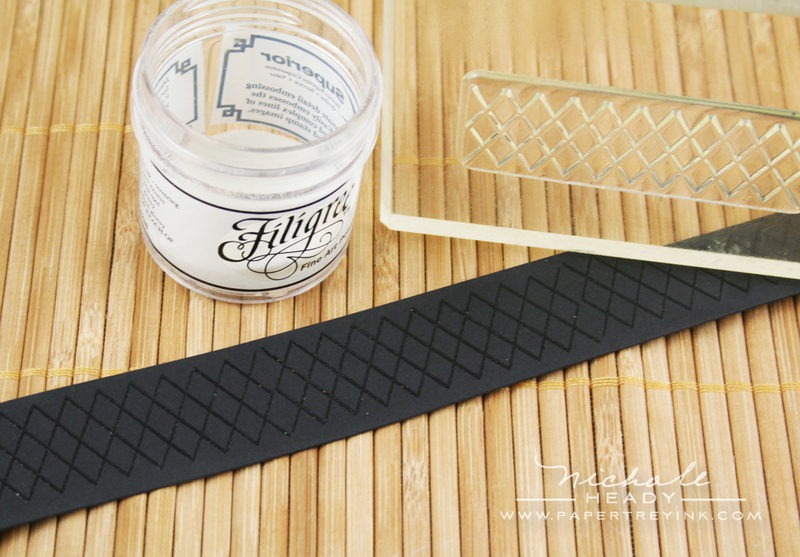 The masculine motifs is truly a must have for every stamper. Tomorrow can’t come soon enough! I also think the woodgrain impression plate also has my name on it! Papertrey has come thru yet again! Stunning!!! I love all these stamps. I really love the woodgrain impression plate. 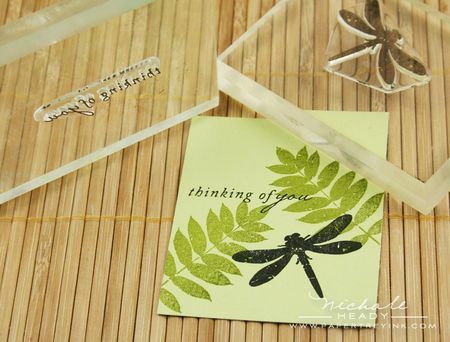 And the “fern & dragonfly” card is my favorite. Can’t wait until tomorrow. Just blown away by what you’ve done with the masculine cards! Amazing! It’s so nice to see a masculine set that doesn’t make the standard assumption – that all men must golf, hunt, or fish. Thank you for that! Wow! great images for masculine cards, that set will be a winner for sure!! Luv, luv, luv the dot effect on the trees! Has a great contemporary feel to it. The sailboat is also one of my favorites. I live by the sea and sailboat themes are very popular. And the koi fish….what can I say other than thank you….koi fish are my favorite japanese motif! The pti team has really outdone themselves this month with these new sets..much needed and very versatile. Great set! I could see using the images for other cards too, not just boy cards! The woodgrain is a must have for me & I’m loving the Dotty Biscotti paper! Yup, add to cart 🙂 Another great release! both sets are just perfect for masculine cards. Great images and love that woodgrain texture! Love the wood grain and masculine motifs. I NEED it all!!! LOVE the woodgrain, so versatile! Your attention to detail is so inspiring… in all of your samples and designs. Dotty Biscotti, I love it! Love all the masculine stamps too! What a fantastic release! I love the ideas for those difficult males in our lives… Thanks for all the inspiration. Thanks for all the great inspiration, you and your designed team were wonderful as always! Can’t wait for the 15th! I just love the images and the projects you’ve shown here. I, like so many card makers, have a lot of trouble with masculine projects. Thanks for the inspiration and the chance to win this fab package! Amazing! No more agony over how to make a masculine card. Love all the cards shown here. Have fun at the release party. I’ll be asleep. oh, how I LOVE the woodgrain impression plate and stamp set!! Gorgeous work, Dawn! 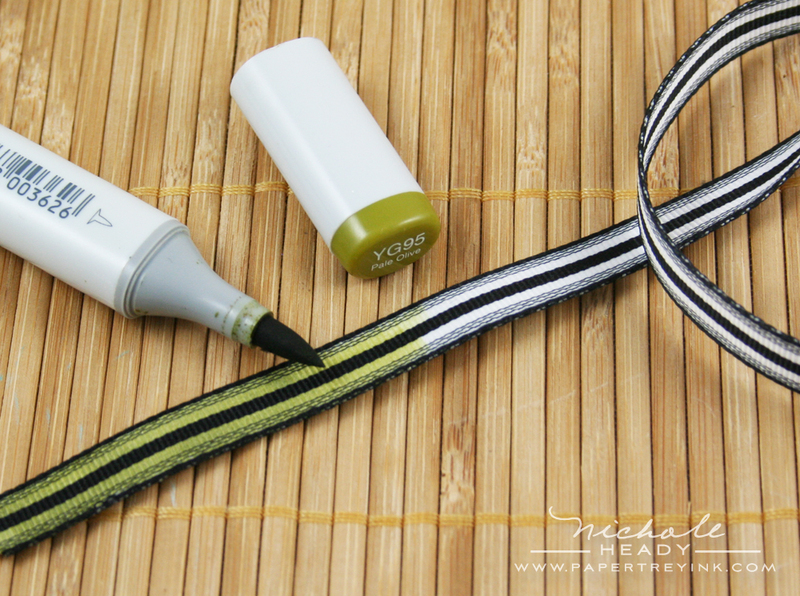 Love your touches – like coloring the ribbon w/ Copics and dotting the trees w/ different color Copic inks. So pretty! I have really enjoyed all the masculine cards. I like that the stamps don’t have to be used just for masculine themes, as I don’t do many masculine cards. I can’t wait to get my hands on some of the new items this month. I really didn’t think I would want this stamp set until I saw the FABULOUS masculine cards that Nichole made! One was better than the next and now there are at least three must haves on my list for this month!!! These are fabulous, Nichole. I love how you used the woodgrain for water. I have been drooling over the woodgrain all week IT TOTALLY ROCKS!! Great to see the man set too, good to have some more classic looking images for the lads, nice work with this one too! Oh, yes yes YES! I love this set! 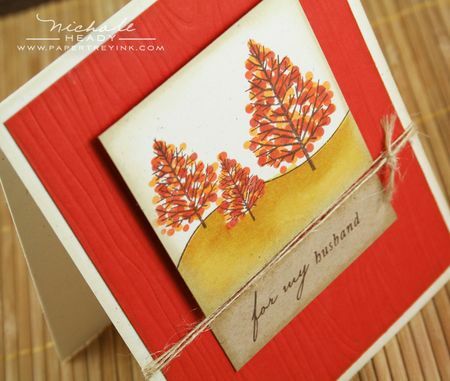 Masculine cards are sometimes hard for me to make, but this is perfect! I’m happy to finally see more of Masculine Motifs. Great images – the koi fish is my favorite so far. And I love the sentiments! Congratulations on another wonderful release. love the classic images in the masculine set, that fall card is beautiful! I really love the Masculine Motif set. The sailboat is just darling! I’m so happy to see a globe image! And the sentiments are great. This will definitely be a go-to set for masculine cards! SO AWESOME! It never ceases to amaze me how PTI manages to WOW me EVERY month! I have a lot of men in my family and yet I constantly struggle with masculine cards. Your samples are amazing! One of the first sets I bought from PTI was Men Of Life and I use it ALL the time. Now I’ll have more options to make gorgeous cards for the boys and they won’t get so sick of seeing the same images over and over again! Thanks PTI! And P.S. OMGOODNESS! That woodgrain impressions plate is to die for!!! I am so happy that you are introducing a ‘masculine’ set. This whole release will be fabulous for the men in our lives! What great masculine sets!!!! I have a lot of masculine cards to make. Can’t wait! I am over the moon for both of these stamp sets! Amazing stamps and incredible projects that make them *even* more desirable! Thank you for the chance to win. The ‘You mean the world to me’ card is by far my favorite of the bunch. They’re all fabulous though. I can’t wait to have that woodgrain impression plate! You read my mind!! This is exactly what I’ve been looking for to make masculine cards. The woodgrain impression plate, and background set seem to be a match made in heaven for this set. My Dad is a woodworker, and has built me some beautiful furniture, so for me, these are must haves for his birthday and Father’s Day cards. My favorite image in your samples is the globe and sentiment that goes with it. I can even see that for a little boy. And love the woodgrain tnings too. You guys have done it again! Once again you’ve come up with the perfect solution to a creative challenge (and what a challenge men can be!). I’m loving all the woodgrain effects and they compliment the masculine motifs set so perfectly! Wow – this is exactly what I’ve been waiting for! Have dozens of cards I already want to create. My new ‘must have’! I love the images in this set – this will surely fill the void in my collection! I just love all the different items in this set. So many different themes all in one! Thanks for all the guy items this month. Beautiful sets, I really wanted stamps with which I can make beautiful cards for my dearest DH, this looks perfect! Yet another wonderful set – stop it, my wallet hurts! What gorgeous cards and so many fabulous ideas. I just love them stamps and that paper is to die for. Masculine Motifs are perfect!! I have the most difficult time making cards for men… I’m also loving the woodgrain stamps and impression plates!! Images for the men in our lives…….I love it!! Another wow. I live with three men! !A husband and two sons. Now these stamps would be perfect for fathersday or birthday or leaving school or…..So these stamps are just amazing . Love, love them. I love both of these sets and the woodgrain impression plate. I have been wanting a woodgrain set for some time and to be able to have both a stamp set and impression plate is wonderful. And your cards are beautiful. Amazing! So great to see such wonderful focal points for a masculine card. Think I am definitely going to have to get that – especially as the wife to one and mother to two. Lots of guys in my life! You really have created some wonderful masculine themed stamps this month. Thank you so much for focusing on this need and for providing such beautiful examples. Oh and that paper?!?!? Yummy!!! AWESOME projects!!! Lovin that woodgrain!!! I love the texture that the impression plates add…beautiful cards! Thanks for all the inspiration. I look forward every month to see what you gals come up with. Good job all! Lovely masculine cards!!!! Amazing releases this month!!! What awesome ideas for masculine cards…. can’t wait to try them out! Love how you colored the trees with copics! and impression plate as well as the masculine motifs. Wow – you all have done it again! Tese sets seem so new and innovative, yet look totally classic when used together- I just love everything about them! I love that idea of changing the look of the tree for the season. Here is another best seller set for sure! And the woodgrain is definitely a basic ‘must have’ background. Love trees and these ones are very nice. Another great release. I can’t believe how wonderful that wood grain impression plate is. Lots of great new stuff this month! What great cards Nicole! I love all the masculine new stamps and love love love the wood grain stamps and how you can alternate the strips for different patterns. Also the corresponding wood grain texture plate. Can’t wait to see all the stamps. Also love all the beautiful art the design team has been putting out for all of use to Drool over. Sorry all those masculine men but I love the images so much they are destined to be mine all mine LOL! Oh O.K. I will make the odd male card then 🙂 Thanks for the chance to win such a great set. This set is perfect for masculine artwork. The wood grain background and embossing looks great. Thank you so much for the sets you are releasing this month…they are really filling the void I have in my supplies!! The projects you provided are amazing, and I love, love, love the woodgrain impression plate! These are great stamps! I’m so glad to see more “male” themed stamp sets. I especially like the wood grain background and impression plate. Those are on my NEED list. Oh my giddy aunt! How brilliant is this release. I’m going to be stalking the postie after I do my order! Hurry Mr Postman! The woodgrain has been my fav since the sneak peak, and it doesn’t have to be just for guys, it’s so versatile! I love the new paper! What goodness is being shown on this last day of countdown! I can only say I hope I win! Good luck everyone! Thanks for sharing the inspiration! Another great reveal! Love the paper and stamps! Oh, what to get first?! Congrats to all! I am super excited for the new paper. I like the variety in this new set, so it can be used for many things. Very nice! There are so many great new products that I must have this release! I love the new patterned paper! I love the masculine set! It’s perfect! Ye gads, it’ll be an expensive month at PTI! Every month I tell myself I’ll scale back but the sneak peeks reel me in. Move over Polka Dots, Background Basics: Woodgrain and the Impression Plate are my new bestest forever favorites! I’ve had a hard time making masculine cards too… until now! what lovely complements and sentiments these sets have! Thank you for all the hard work as well as the chance to win these! I usually prefer the floral and feminine stamps, but these two sets are clearly my favorites of the past few months. You have really hit it out of the ballpark with these focal images that will be PERFECT for the men in my family. I’m also loving the woodgrain stamp and dotty biscotti papers!! Oh. My. GOODNESS. Each one of those cards would be perfect for someone in my life. What a FABULOUS set. Okay….. now that I want EVERYTHING you’ve produced this month, how do I hide it from DH ???!!! Like many stampers, I struggle with masculine cards. This month’s release looks to be perfect to help me with that! So excited! And that Dotty Biscotti paper looks so yummy! Love the name! 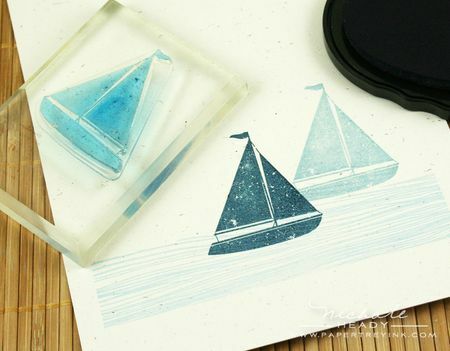 I loved the use of the woodgrain stamp for the many various effects — water for sailboats — how creative! Great sets!! Wow! Its going to be hard to choose what to buy first from this release! They are ALL must have sets! I love the masculine motifs images paired with the wood grain stamps and impression plate. These are absolute must-haves. Thanks so much for the many opportunities to win some of these fabulous sets! How will I ever be able to narrow my order down? Another fabulous month of releases…love the argyle, the woodgrain, and all the themes that will be great for many practical uses! I am loving these sets with Fathers day not too far away!!! And the dots OMG I need those 🙂 I was just wishing that you would release a new dot paper! Wow! This set will be perfect for all of the dads, uncles, brother-in-laws and grandpas for the upcoming Father’s Day holiday! I will be ready to go with cards! You have done it again! Just when I think there is no possible way you can exceed the previous month’s release, you just blow it away. And you got me on so many sets I didn’t think I needed. Love the new dies and Dotty Biscotti (and looking forward to Dotty Biscotti 2). Always struggling with masculine cards…no more! Thank you! I love the masculine cards, especially the tree cards and the koi fish and dragonfly cards. Originally I wasn’t too sure about the woodgrain (I have woodgrain overload from growing up in the 70’s). I like the woodgrain now particularly the embossing plate. The dotti biscotti looks great for combining with kraft! I love everything about the releases you’re showing today!! How versatile all of the images are from the Masculine Motif set are and I mean come on – I *need* that woodgrain set and the impression plate! And a kraft color based patterned paper set? Swoon!!! I think this might be the first month I use the old “I want it all” purchase option! What a great set. It’s on my wish list. Dotty Biscotti was already there! 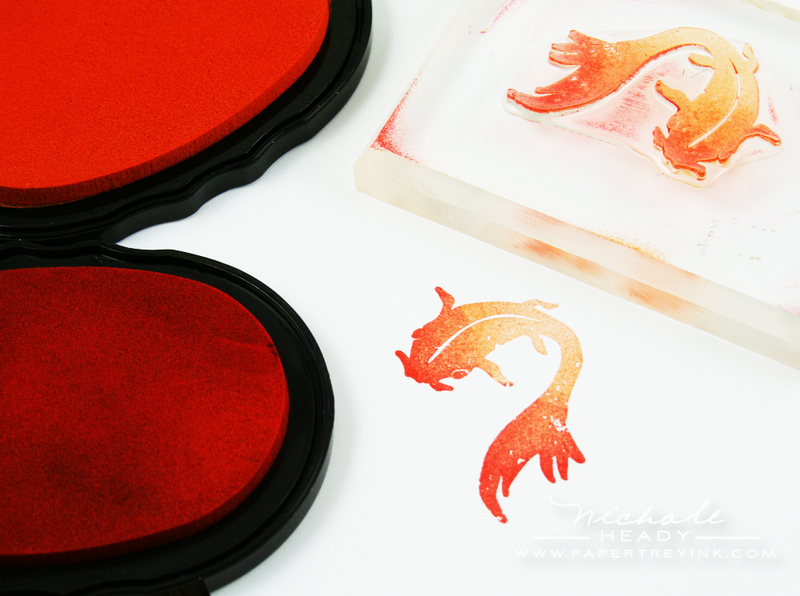 Love, love, love this amazing stamp set – that koi fish could be used for so many situations. And I really, really NEED that woodgrain stamp set and impression plate! The woodgrain impression plate and stamp are fabulous. They are those kind of staples that every crafter has to have in their stash. what great sets – it will be much easier to create “male” cards now! thanks. Making cards for men is certainly always a struggle for me, so I appreciate all these ideas. The woodgrain stamps and impression plate look wonderful, and masculine motifs looks very promising, too. The koi fish is beautiful! If I hadn’t seen all the awsome projects with the woodgrain background, I wouldn’t have given it a second thought- now I’ll be adding it to my collection! Love the Woodgrain. Love the Masculine. Love the whole release in fact! Way to go PTI! Roll on Release time! Oh my, I love everything…AGAIN! I’m truly a PTI fan month in and month out! The koi is so graceful and beautiful. I am so excited about more masculine stamp sets. Thank you so much! Love these stamps….perfect for all the men in my life!!! You are so right, Nichole …. masculine cards can be a challenge. Not any more!! Love this set and the woodgrain stamps and impression plate are pure genius! Great projects! I especially love the fish image. these masculine ideas are wonderful. It is a pleasure to visit your blog and see all your wonderful ideas. You are a true inspiration to all business women…I so admire what you do and how you run your company…continued success..you deserve it. You are right – the woodgrain is a must! And the globe is perfect for Earth Day cards…the order should arrive just in time! Thanks for all the great ideas…. Super Projects! Love the masculine images! I love the masculine motif set! I definite set to have for my boys! These are both wonderful sets, very versatile! You and your design team have shown me lots of unexpected ways to use them. The Masculine Motifs set definitely has something for everyone! yes, this does make masculine cards easier to make. I am loving the dotty biscotti. Love this new release and the woodgrain impression plate!! Can’t wait to get it in my hands to play with! Love it!!!!! Being the only female in my house and the fact that masculine stamps are not always easy to come by….this set is a MUST HAVE!!!! The cards are all just amazing! I love the world image! What a great week of sneaks! Love all the new Papertrey goodies!!! I love both of these sets — must-haves for me! Your designs here are fun (love the globe! ), and I can’t wait to see the full release. Thanks for the chance to win! I am so in need of masculine themed stamped images! With the new masculine motif set and woodgrain background, making cards for the “guys” in my life will be a pleasure!!! Amazing samples … makes me want these sets even more now! Your cards are so beautifully masculine. The images make wondeful focal points and you complement them with simply adorned graphic layouts. You make decision-making very hard, but it is so much fun. Love love love everything! The woodgrain is ingenius! One of everything please! I really like (and want) the wood grain impression plate and can see lots of possibilities for it. I love the way your colored the trees. Love the new stuff! I have to say your impression plates are killing me!! This set looks great, I am adding it to my must have list, also the wood grain background and impression plate! I love all the samples thanks for a chance to win! My favorite was the globe card, and the globe image – although everything is fantastic! Thanks for creating the masculine images! I gotta say, I love the Koi image as well! Really have enjoyed all of the projects this month and am excited for another masculine set to add to my collection. I love the woodgrain! Great seasonal tree cards too. I have loved everything about this release- so inspiring! Blessings! Love all the samples- I really love the two cards with the trees, oh, and the dragonfly, and the card with the mat stack, oh and the boats- using the woodgrain as water, and how cool is that koi? awesome inspiration as always!! This totally takes the guesswork out of masculine cards. The images are beautiful and the cards you made are wonderful. I can’t wait to get these. I really like what you dud on the tree cards with the dots. So simple, but it does so much! Who wouldn’t want to win these stamp sets? With all the men in my family I want this set. There are endless possibilities. Thanks for the great stamp sets. You guys are amazing. I love all of the images that you have chosen for this masculine set. I will never dread doing a “man” card again!! Such a interesting set. I can see so many uses for it. Can’t wait to see the whole thing. Thanks for the chance to win! I agree this is an amazing release!! My list keeps getting longer and longer!! Now I have to decide what to get first!! Also great cards from all the designers!! Wow…wow…wow! Just so much wonderful stuff coming out how will I decided what to get first! Love the tree and koi images! Dotty Biscotti – YUM!!! Love the “male” themed cards and ideas. Great stamp set all around (as always)! What a great dragonfly that is, and koi, and well, wow! I think it will do more than just masculine cards, lol!! this might be my favorite sneak yet! I can see using the woodgrain stamp and the sentiments over and over!! This release keeps getting better and better. And my wish list longer and longer. I think these stamps are going to sellout in no time. Love the masculine and woodgrain sets! This release is great. I also struggle with masculine cards and usually resort to purchasing them. Thanks so much! Such great new products! I especially love the woodgrain background stamps. Being able to customize how I want the woodgrain to look is simply fantastic. And the impressions plate to go with it…LOVE IT! I want! I want! I just love what you did with the trees! and the wood grain……Very cool! Wow! You guys have done an excellent job with masculine cards this month!! I love this set! I’m always looking for “guy” stuff for my cards and crafts. Thanks so much for meeting the need. Love all the sneeks peeks this month but this masculine set is the bomb! Looking forward to tonight. What a great set! Definitely fits well with all the other new goodies – can’t wait until the release!!! The masculine stamp sets for this release are so versatile. I really like the woodgrain set. It really goes well with many of the stamp sets including the previous releases. Way to go! I am so excited about this whole realsease but I think the thing i like the most is the woodgrain background stamp and impression plates! I just love them!!! Will be nice to have more to choose from when it comes to the men in our lives. Thanks PTI! I can’t thank you ladies at PTI enough for this month’s release. I only have 1 set that is geared towards men and that’s Men of Life. Even though it is a great set and I love it, I have used it for every guy in my life about 100 times!! So, I am buying everything ‘male’ when the sets go on sale tonight! Love all the wonderful cards that showcase these great sets. Thank you! I am always on the lookout for more masculine images, and this set looks great, especially with the woodgrain texture! Thanks for the chance to win. I love all of the possibilities that you have shown with Masculine Motifs and Woodgrain Basics!! Can’t wait to use these sets!!! Love it! A must-have to make masculine cards! masculine cards have always been more difficult to create, but you’ve now made it much easier. Great job! OMG!! !LOVE IT!! !I have a home full of men and need more masculine ideas. Thanks. Love it all! 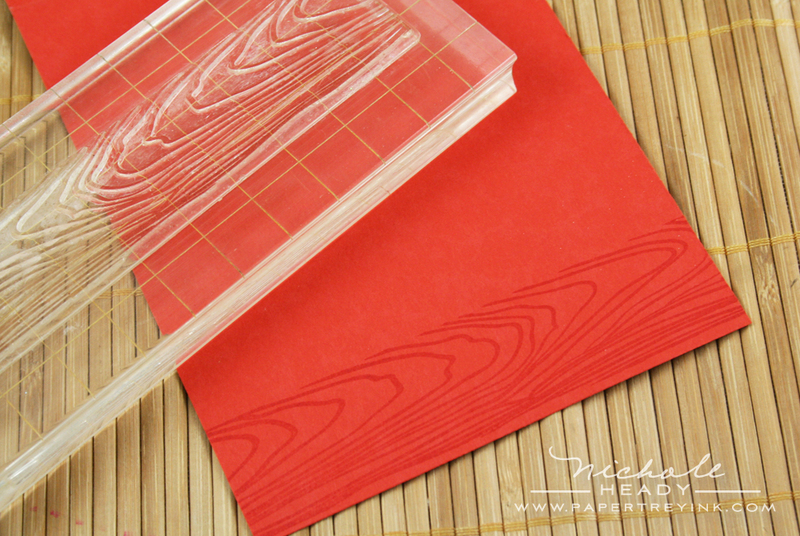 The woodgrain embossing die creates a wonderful & unique background, & we all need more masculine stamps. Thanks for the ideas Nichole! Well, your amazing samples have sold me (again)! I wasn’t sure I “needed” this set, but now I know I do! Great cards Nichole. I really like the dragonfly card and those images used. The woodgrain stamps look great too. How fun to have all these male images to be inspired with! Masculine Motifs certainly fills a void and I love the images. The Dotty Biscotti paper is just delicious, pardon the pun! The woodgrain is such a versatile basic. This release is wonderful, as always! These masculine cards are wonderful! So many great ideas! All these masculine cards are wonderful and the new dotted paper is great. Yeah! Thanks for listening to us! I love these masculine sets! Oh my, those cards are great. Ireally love the masculine motifs, the fish, a boat, leaves, dragonfly, globe & ? Definately a must have. Oh my goodness! I don’t think I have ever been so excited about a stamp set…and that is saying something ladies! Masculine Motifs is amazing I can’t wait to ink it up! I am blown away by this month’s release. I have such a need for masculine stamps. This is the first month I will probably get every stamp set being released. Thank you, Nichole and the rest of the PTI team!! This is a great masculine set that I can see many uses for on non-masculine cards as well. As usual, your versatility is awesome. And the Dotty Biscotti paper will be on my next order! As a chef says – YUMMO! These sets are wonderful. I love how you used the woodgrain to represent water in one of your cards. Pure genius!!! And the masculine set is fantastic. No more excuses for struggling with cards for the guys. Well done! Lovin’ the woodgrain for sure!! What a concept for this background builder! I see it as an essential part of my masculine arsenal! I love the trees! The examples are fantastic! Yay! Looks like some wonderful images for those men in our lives. And the woodgrain background and impression plate is just genious!! I can see why everyone can’t put it down, a winner for sure! This is definitely a must have set. Finally something more on the masculine side.Thanks for the inspiration and a chance to win. Love the colors on the koi fish card and those leafy trees are gorgeous…what fabulous new sets! Love these sets and the dotty biscotti, too! I absolutely love the Woodgrains set!! It is amazing. This has been a great month and I love your new Motif set also, very versatile for the men in anyones life. the woodgrain… oh my gosh! and masculine motifs is the best masculine set i’ve seen in a long time! I love that you created a masculine set for men who don’t enjoy sports like most of the other masculine sets. Can’t wait to see the entire set. i love these new sets and the wood grain impression plate really is a great background too. so many ideas. thanks. I love making masculine themed cards so all of these ideas really inspire me. I really like the woodgrained stamp and the woodgrained impression plate. I can see myself using those a lot. The tree image is a perfect complement. Love the new selection of stamps! Thank you for addressing the needed stamps for the men in our lives! Great ideas! Easy to execute, with lots of visual punch. As usual, I love them all!!! I guess you saved the best for last! Love, love, love the masculine card designs you presented. I’m anxiously awaiting the morning of the 15th to see the full set you designed. Thanks so much for all the inspiration! Wow! I love it all – woodgrain stamps & impression plates, the masculine motifs (especially the globe!). Finally! Stuff for men. And Dotty Biscotti is a keeper! Wow, I want it all this month!! Really like the wood grain background and impression plate. The Dotty Biscotti paper is really great!! Can’t wait to see all the sayings in the Masculine motifs set! PTI has done it again–filled a void in so many of our collections. These masculine sets are fabulous and I can’t wait to own them. Dotty biscotti (sigh), do I need to say more. Wonderful addition to the patterned paper collection. All I can say is wow! I’ve already starting thinking of dad’s day cards and today’s samples are inpiring! it IS so hard to make a card for a guy when most stamps are flowers! I love the koi card. and the boats! It is so hard to find nice sets to make masculine cards. Now I’ve found the perfect sets! This has been a great release. The combination of styles from all the designers is incredible. You all deserve congrats. LOVE these little “masculine motif” images. And the design of the cards has my head spinning! NOW I want to call in with “rubber-stampitis” and go make some of those fun graphic background papers with my Scor-pal! THANKS for another day of amazing inspiration. SOOOO many great new stamps to pick from and dies and DOTTY BISCOTTI-OMGoodness-I WANT IT ALL!! 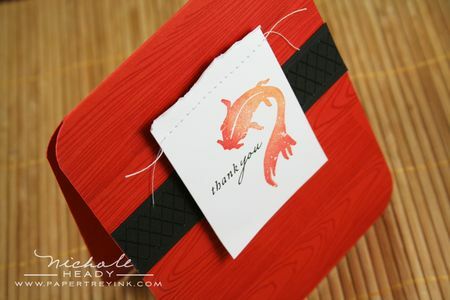 Love love love the koi & the globe stamp! Masculine cards are definately the most challenging, you have created some great images to resolve this problem. And showcased some FABULOUS cards! Thanks! Great masculine themes!! Love the samples and stamp sets! The Dotty Biscotti is adorable! I think they are beautiful!!! WOW!!! I’m so excited about the new products!! These are great…very manly:) What I really love it that you can use these images in a variety of ways, not just for the men. Gotta love versatility!! What a great collection! And so much inspiration as well. I’m so glad to see all these products that will help us make masculine cards! The woodgrain impression plate looks awesome on that last white cardbase! I just love the woodgrain! I have been doing my own faux version of woodgrain and it’s nice but not as neat and clean! The masculine set is a blessing! SO hard to make for those guys! Great previews so far…the 15th can’t come soon enough! I am like everyone else when it comes to masculine cards. But the beauty of the images in this set is that it can be used for both sexes. I have this “thing” for trees so I love this set. Can’t wait to see the rest of the images. Thank you thank you thank you for such a WONDERFUL masculine set!! Being from a family with few girls, I NEED a great masculine set and this is IT!!! Awesome!! Love the guy stuff. I feel you know my stamping “needs” better than I do! The wish list just keeps growing longer….it’s all awesome! I am totally in love. These are amazing!. I have always loved woodgrain. I am soooo excited about the impression plate and the dotty paper is delicious!. These are wonderful! I have so many men I make cards for–this set is a must have! Fantastic sets and accessories! LOVE that woodgrain background, both the stamps and the impressions plate! Once again, theses are stunning! Such creativity that never seems top end. Love it! I LOVE these sets! I have two little boys and a husband that will definitely appreciate them! This whole release has been really speaking to me! I can’t wait to see the sets in full! More PTI goodness! I can’t wait for tonight. Oh my, such inspiration all in one post! I just love every one of these creations! I’m just so in love with all of of it yoo Nichole! My poor wallet this month! Oh no! Thank you for all of the inspiration and love, love, love the layouts and cards you and the DT made. Great job! Oh how I like these masculine releases for the month, as it is always hard making those cards. This release will be hard to decide what to purchase, as I am liking everything. Oh my gosh. Color me happy. Masculine cards are so hard for me, but you have made it oh so easy. Can’t wait for this release! Wow, beautiful samples! I cannot wait to get my hands on all that woodgrain, especially the impression plate! Once again, your artwork is amazing! Great sets! I love the masculine flair. These are the toughest cards to make. I love what you have made for examples. 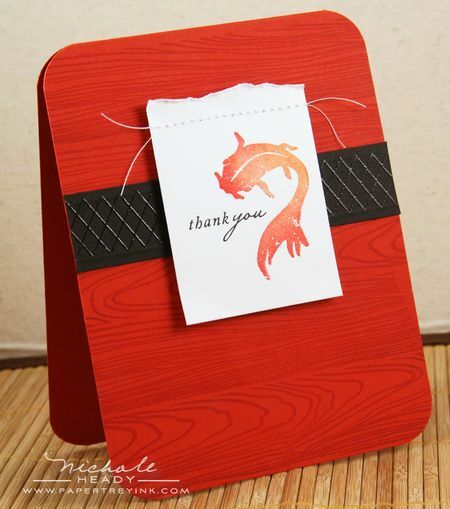 Nichole, I was truly impressed with the Masculine Motifs set from the beginning, but the moment I saw the koi fish, I just KNEW it was needing to be a key part of my collection of stamps–some of the best yet for the men in our lives. Thank you, thank you, THANK YOU! And now I must be patient, I must be patient, I MUST be patient. Oh! It is SO hard to be patient for the release. These cards are fabulous! I especially liked the instructions on adding leaves to the trees. I love tree stamps but am often stymied as to how to use them. Now I know!! Oh. My. Gosh. This is totally on my must-have list. I totally need it! Wow! I love all of your samples. I was so hoping that I wouldn’t like Masculine Motifs, but I knew that was a futile dream! what an amazing way to add leaves to the trees and that woodgrain is so great looking too. There is just more and more goodness every day! Gorgeous projects! My order changes hourly!! That woodgrain stamp is a MUST-HAVE !!!! I make so many men cards and i have used Men of life and Father Knows Best to death!!! So excited to have more options. Your sample are fantastic. This is IT! The stamp set of the year. Masculine Motifs is a must have for every stamper. My favorite image is the asian-style fish…fantastic! I am so stinkin’ excited! 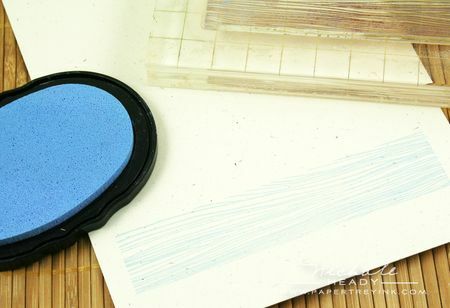 I have been searching for the perfect woodgrain background stamp. I’ve bought a few and been disappointed with them. This release has been the best ever! And the woodgrain impression plate, OMG! OMG! yes ya’ll nailed it. I’m super excited about the argyle too! Now THIS is my favorite day yet!!! I am in need of a set just like this, I absolutely love everything about it! Can’t wait to get my hot hands on it!! I love all the sets shown today! I can’t wait to get my hands on them. The wood grain stamps and impression plate are the perfect complement for masculine cards. Love it! thank you! thank you! thank you! The masculine motifs and woodgrain sets are awesome!I struggle with finding just the right images for male cards-once again PTI comes through! This is my favourite set of the new releases, by a long shot. I love the fern and dragonfly! And the woodgrain plate is fantastic too. Now to channel the stamping powers of Nichole…. This is totally cool! I love the different spin on masculine. 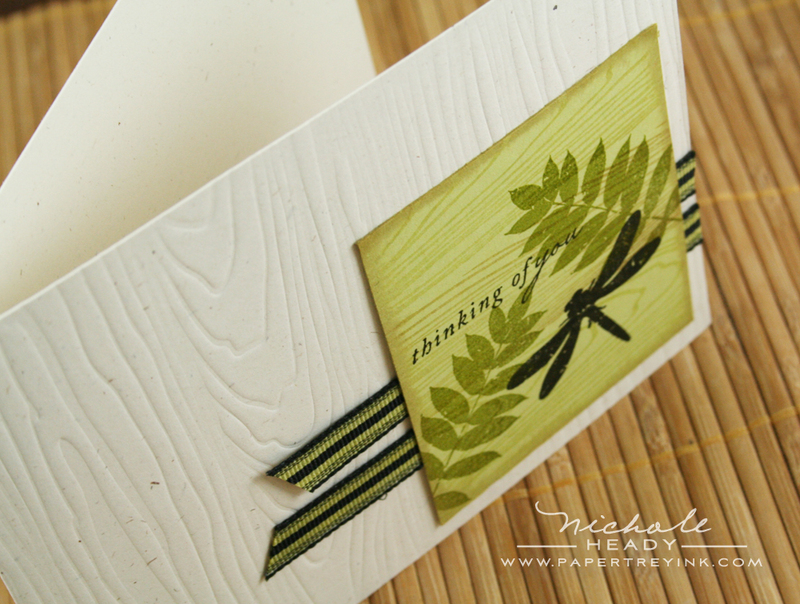 Both the woodgrain stamps and embossed background look amazing and work together beautifully. Yes its masculine but I like it too!!!!! Another great set! Love the Koi fish!! I think this could be my new favorite set!!! very nice! always great to see a new manly set. love the woodgrain and the dotty biscotti paper-yummmmmmm! I love all of the projects today. The asian looking card with the fish is my favorite. Lots of great guy cards-which are the hardest to come up with. And so many uses for the wood grain stamp. Great ideas! Looking forward to the release tonight. The examples are amazing. I love how you added color to the trees. Great job Dawn in the design! The Masculine Motifs set is really amazing. The images are great, but I think I’m going to love the sentiments even more. And all that wood grain …….. ahhhh….. That stamp set and impression plate are the first thing going in my cart. I am so excited about Masculine Motifs. I have been looking for something like this forever! What a fabulous month! I have no idea how I’m going to whittle down my list! That Dotty Biscotti paper is AWESOME and I can see myself using both the woodgrain set and the masculine set very often! Thanks for another amazing month! The Masculine Motifs is just wonderful! Looking forward to seeing the rest of the set tonight! Love how you colored your ribbon to match your card. The beauty of this set is its versatility! I can already picture cards I would create and not just for guys! Oh, these are fabulous, Nichole!! The Masculine Motifs will be a very welcome addition! I love your Men of Life, but this will take it further. Thanks!! LOVE the woodgrain too. Love the ferns and boats and the cards you made with all the stamps. I can never do masculine cards, these would sure help in that department. These are all beautiful! I love the globe and the fern leaves are gorgeous! What an amazing release!! I think this is going to be a very popular set…hope you have LOTS of them…lol…love the cards…perfect!!! My favorite stamps of the sneak peeks and will use it over and over again! Two more sets to go in my order! As always, great ideas and wonderful new products. Sure does make me want to purchase all of the items. Makes it hard to choose! Love…Love…Love…Masculine Motifs! The fish and dragonfly are my faves!!! This is just what I needed for the ever so challenging masculine card! Thank you! Thank you! Thank you! Cannot wait to get my hands on the woodgrain! Absolutely a necessity for masculine cards! I’m so glad you set us gals up with fun but definitely masculine stamps! I’ve been gradually adding to my stash of boyish paper, stamps and bellies because my oldest is 9! so I can’t wait to get some of the items you are releasing tonight!! Each month the realeases are better than the month before. Love the sentiments in today’s set and just love the Dotty Biscotti paper. Thanks for addressing a real need–masculine motif stamps! Thank you so much. It’s been so hard for me to make masculine cards that are not super plain. This will come in handy. I can’t wait. I just love the woodgrain impression plate! This is definately a must for me to have this release. Oh my gosh! I don’t know where to start – I love all these new masculine images and sentiments – just what I’ve been looking for – hope you have lots in stock! I love the sailboat ….. great set!!! Wow! LOVE this masculine set! The creations are AWESOME. Thanks for all the hard work and inspiration, ladies!! I love these cards! The impression plates are so awesome! I vow never to ‘freak out’ the next time I have to make a guy card. LOL! Yourself and the DT have provided me with enough inspiration to last me a crafting lifetime! ” Leave a comment today letting us know what you think ” What I think??!?!? I think you hit the ball out of the park! I’ve loved every day of this sneak peek and today’s was best of all. The images we’ve seen from Masculine Motifs are truly wonderful. And although they can be easily used for the men in my life, they are in no way limited to just men. Perfect, I tell you, they’re perfect! Can’t wait! Wonderful masculine cards! 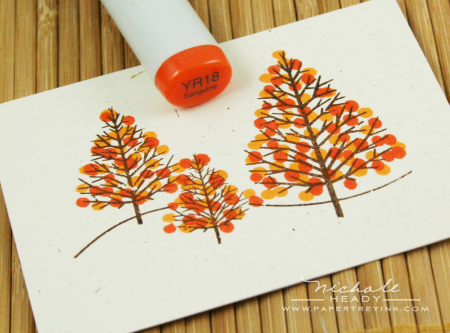 Love the idea of adding dots of copic marker colors to “leaf” in the trees. I want it all! I love all the masculine themed stamps and wood grain is just awesome. You gals have outdone yourselves again. Congrats! I hadn’t wanted either of these, but I should’ve known that you’d knock my socks off with projects from these two sets! Now I have to get them! Whoa, Baby! These are all so good! Masculine Motifs is a must have!! Cha-ching, SOLD! The paper is beautiful. Dawn did a fantastic job with it. I can’t wait to see the full masculine set. What truly great sets! I can see so many uses for all of the images shown today, with so many great projects. Thanks for the inspiration! Both sets are fantastic. The color combos with the woodgrain stamp are endless. And I love the masculine set. Who couldn’t use a versatile set like that? Can’t wait to place my order!!! I can’t believe how much the Woodgrain stamp set and impression plate adds to the cards and how beautiful they are. WOW. Gorgeous projects with beautiful new stamp designs. Can’t wait to get these and put them to use for Father’s Day! Thanks again for the lovely inspiration and for filling our needs for card making for those guys in our lives! Wow! That is all I can say. Love the new masculine images. I do not have any at this time so this will be helpful! Would even be nicer to win. Thanks for the chance to win! I love that die and all the cards, it’s going to be another great release! Oh yes, this is a great set! Cards for men are always so hard becuase there just aren’t good images for them! This solves the problem! Thanks! wooot wooot! looks like you this masculine set will make all of our lives a little easier! my favorite is the thank you card that you showcased above with the fish. it’s so fab! and of course, of course!, that woodgrain set is on my list! i loooooooove it! Nichole, these sets are fabulous. I love the images in Masculine Motifs – trees, dragonfly, koi fish are all perfect. I’d like to use them on feminine cards as well. The woodgrain background is also perfect for masculine cards. My card stash is always lacking when it comes to “guy cards”. This set will help so much!! Great to have a set for male gender. Thanks so much! I am lovin’ the masculine theme to this release! I so needed more items in my stamp collection with a masculine theme to them! The PTI team has really out done themselves yet again! With three brothers, I need all the masculine card help I can get!! The stamp sets and wood grain impression plate are absolutely perfect! Thank you so much for filling that void for me! So very excited about all the masuline releases this month. Masculin cards are so tough to do without looking dated. Thank you, thank you. Love the woodgrain patterns! And having a bunch of “guy” elements in one set would be great! What neat masculine images that could be used for gals, too. My daughter would love the koi! Love the new images. Can’t wait until the release. Thanks for all the inspiration. What a great idea. Masculine cards are always such a challenge and now to have a full set dedicated to that, wonderful! I love this set! It’s refreshing to know that you guys listen to what we say…the perfect masculine set, I think!! Thanks for all the wonderful ideas, I love them! With everything that has been showcased this week you have made it so easy to create masculine projects that so many of us struggle with. Thank you for answering our prayers. I’ve enjoyed all of the projects presented this week by everyone and now I’m ready to tackle those so needed masculine projects. Have enjoyed all the previews for this release! Lots of great ideas for the guys in our lives! I love the woodgrain it is so popular right now! !Love all the samples alot of great man cards!!! You know, when I read “woodgrain”, I thought, oh I won’t like this one. I could not have been more wrong!! This is so cool! I love it! Well, it’s finally happened!! I’ll be ordering the I WANT IT ALL package tonight!! Can’t pass up any of the great designs….love them all……THANKS!!! The woodgrain is very appealing for all kinds of cards. I love your examples w/the masculine set – not the stereotypical (read “boring”) card for guy. I am blown away! What a great masculine set and your samples are just awesome! Totally awesome! Fabulous projects! The woodgrain sets are crazy cool. Masculine motifs is absolutely perfect! All of the sets this month go so seamlessly together, I think I might hit the “I Want It All” button for the first time ever! Nice! 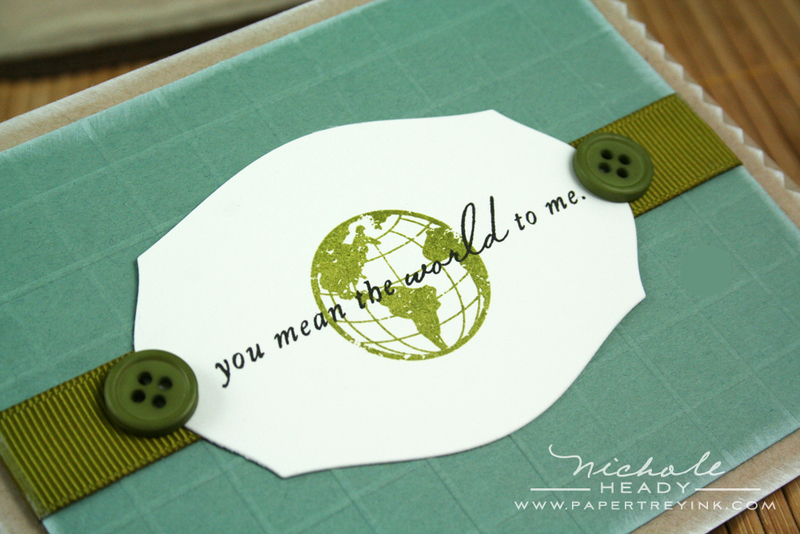 I love, love, love the You mean the world to me sentiment and matching globe! I have been wanting that combo for a long time! great looking set and fabulous projects! This release is wonderful. I never, ever have enough masculine stamps and struggle with ideas so all the release posts have been even more inspirational than usual. Can’t wait until midnight! AMAZING releases this month! I think I love everything about it! That wood grain stamp and texture plate is just “the bees knees” and the masc. motifs stamp is just so versatile! Wonderful set Nichole! This is certainly a much needed group of images. I love the sentiments too. Finally a masculine set that looks great!! Ooooh… I LOVE all of the new sets that are geared more for the men! I’m always stumped when I have to make a “guy” card. These new stamps will be perfect!!! Nichole, you and your designers have made it very easy to order… one quick click because I want it all. Great release again this month. These are terrific cards and I really like the different images created for this set. The woodgrain set is a perfect complement. I love how you used it for water! So clever! I am head over heels!!!! I LOVE that set, and the globe image, you do’nt knwo for how long I have been waiting for a simple and nice image of the globe like that. Thank you, Thank you, Thank you !!!!! Can’t ait for midnight …. I just love the airplanes. I have used my whimiscal houses over and over again. And the planes will add a new dimension. I’ve been waiting all week to see more about the set with the trees – love what I’m seeing so far. This is definitely going on my wish list. I am super excited about both these sets. It’s going to be hard figuring out how to spend my dollars. Great cards Nichole. You never cease to amaze. Wow! Most masculine sets I don’t like because they are mainly motorcycles, sports and fishing – nothing the men in my life are into. But this is wonderful. I love the sailboat and the globe is just perfect. A must have!!! So many great ideas! I love any kind of tree stamp and the wood grain impression plate and stamp are so versatile. WOW! I’m really jazzed about creating masculine cards now that I’ve been so inspired with this month’s release. Great products once again that I’m finding very hard to resist. Can’t wait for the release! Wow! What a lineup! I want all of it, every single thing. Usable and re-usable and so idea-inspiring. These sets would be perfect for the men in my life!! I’m in LOVE with the Dotti Biscotti paper, as well as the wood grain stamp set. Oh yes, I need these! No more fears making masculine cards. Sailboats, trees, Koi fish,…sigh…woodgrain…let me at ’em. Dotty Biscotti, very pretty. I have to say there is really a great variety of images in the masculine set, I don’t know why but I especially like the fish . . . the globe too, excellent idea. Nice to have all of these great ‘guy card’ inspiration and ideas now! Love the masculine themed projects! Thanks for the inspiration! I am just LoViNg this masculine-themed release! Thank you! The woodgrain is fabulous and the new Dotty Biscotti paper is simply yummy! Wow–more great sets! I love the woodgrain. So so many great ideas this month!! Thank you! Love the wooden grain background. That Dotty Biscotti….AWESOME! This masculine motifs is a great set, love the wood grain impression plate also. I have been waiting a very long time for a really good woodgrain stamp! I am so happy to finally get one, PTI style!! I love the masculine theme this month. It is so hard to make cards for my dad and FIL, but not after this month! Thank you, PTI!!!!! WOW! These are all incredible! I LOVE the Dotty Biscotti!!!!! Being surrounded by so many males in the family, the Masculine Motifs set will be invaluable!! Thanks for sharing so many great ideas. Love the Masculine Motif stamp set…love the woodgrain…and Dotty Biscotti is delightful. Oh, the woodgrains are honestly adorable! The papers are a must have staple. And the Masculine Motifs are certainly going to fill a void in my craft supplies!! I am *in love* with the woodgrain and the Dotty Biscotti! Dawn is a genius!!!!! WOW…I love these ideas and the new sets. The woodgrain background is such a nice finishing touch and so masculine with these new stamps. I always am looking for something that is not soooo girly and finally we have a go to stamp set that will do the job. Good work girls!!! I love, love, love these. I have a feeling these two are going to be my favorites out of the whole release. Oh, and that impression plate looks awesome!!! How awesome! I have my list started! I LOVE the Woodgrain impression plate, and I always have trouble with masculine cards. What a help. Thanks! You guys are amazing – I want it all… Keep up the great work and keep those ideas and products coming. Thanks for the opportunity to win. I also struggle making masculine cards, but once again you’ve made it look so easy! Thanks for more masculine stamps. I love the trees, especially. It seems I live in a world of men (lucky me!) and I can really use these sets this month. I LOVE fish stamps, and this koi is great! The wood grain stamps and all their various combinations will be very useful. The new paper is lovely. Who doesn’t need more sets for masculine cards?! Wonderful! I love your samples! And I love the Pattern Paper-first on my list! Wow. I really like the woodgrain background as water…I like the globe and sentiment as well. And who can resist polka dots? These are fun cards! Do you ever get tired of reading, “I love it!” or “I gotta have it!” in your contests? I hope not, because I truly love your attention to detail and creativity in creating man-related images. My man is a professional, and doesn’t relate to hunting, fishing, camping, so the typical sets do not work for me. This set seems to have so many masculine images that work for men of all types. Kudos! Love the masculine line. You’re right, there was a definite lack of options before this release. And I love Dotty Biscotti! Thanks PTI. Never thought I’d be interested in a woodgrain effect for my cards but your examples make it a ‘must have’! LOVE Dotty Biscotti, sooooo pretty! Maybe it’s the name, it makes me SMILE 🙂 It is so nice to have a masculine set,’cause we ALL struggle with those Men in our lives! The woodgrain items are a must have. The masculine stamp set will be a great addition to my collection! Dotty Biscotti papers are one of my favorites. I like the broader use aspects of the images! I love the trees – the fern – the globe — and ALL of your cards! Wow! I *thought* I had enough “man card” stamps, but obviously I don’t! These images are totally unique and fun- thanks for sharing your amazing talents ladies! And Dotty Biscotti? Too fun! Once again I find myself thinking I am going to have to repeat myself again and again this month, but I love it!, I really do. WOW release after release you guys amaze me!! I’m trying so hard to be good this month and looks like I may breach the dam. The man is my life, as I tell him “you’re such a guy” and this is perfect for him! You ladies ROCK!!!! You sure know how to get the heart pumping! I’m so excited about this release and all the wonderful new products! I absolutely love the masculine set and the woodgrain set! Love how you showcased them too! The Koi fish is AWESOME! All the motifs are are great and SO versatile. This is a must with Father’s Day coming. That woodgrain swirl is so much like water too…who woulda thought! Thanks for all of the ideas for masculine cards this release. Cards for men are some of the toughest ones to make, but you’ve given us so much inspiration that the days of struggling to figure out a manly card are over! The Dotty Biscotti paper on kraft – love it! These are all essential tools for any and all masculine paper craft projects. They integrate beautifully and are really gorgeous. Great work ladies! Beautiful projects–so versatile! 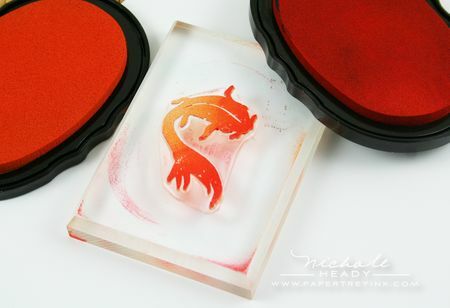 I can think of so many ways to use these stamps and the impression plate. Masculine Motifs is a necessity! I am looking forward to having this set to use when it comes to making those necessary, and always a little tricky cards for the men in my life. I’m really loving the “man set.” Thank you for being so good at seeing the stamping needs, and then fixing it! Love the wood grain for my masculine cards….just a perfect background! Can’t wait for the release tonight! I am so excited to see something for the guys that isn’t the same old “guy” stuff! Thank you for coming up with this set!! And how can you go wrong when using kraft as a background for pp!! So many things to love this month. Wow! I am blown away by this release. There is so much variety and I can see myself using all the sets. Thank you! LOVE the masculine sets! I especially love what you did with the trees on your cards, they are beautiful! I love the fish. The wood grain impression plate really adds a great background for these figures and creates that great masculine feeling. Let’s “wow” the men!! These are great images and would be fabulous for Father’s Day. Great job! Very beautiful, very easy to make cards. I especially appreciate your attention to detail and fine teaching! 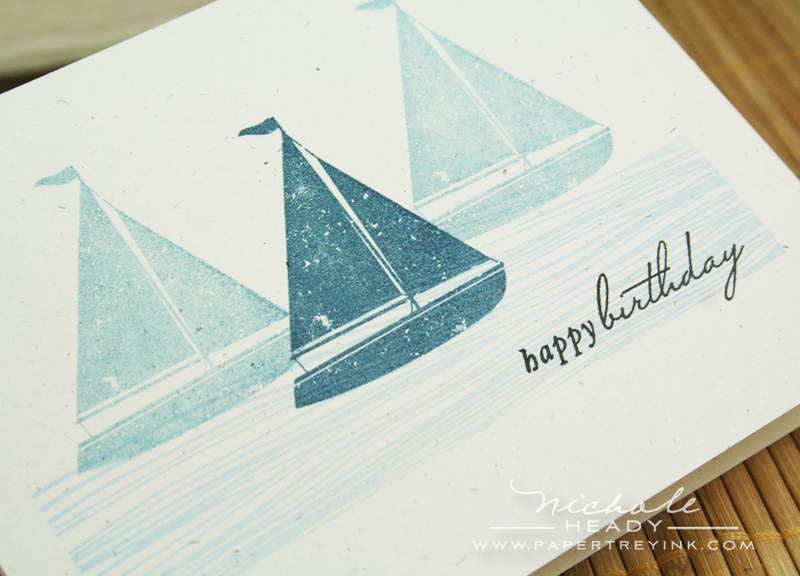 My favorite is the one layer boat card – very “calming” and serene. Perfect for any guy! This whole release definitely will fill a gaping hole in my stamp collection. I love that there are so many images and backgrounds to work with to add inspiration for all the guys in my life. Thanks! Love all the images in that masculine set! these are wonderfully classic., it helps so much to have great products ti create our “man” cards! The samples are perfect! The stamps are AMAZING and definitely fit the masculine theme! 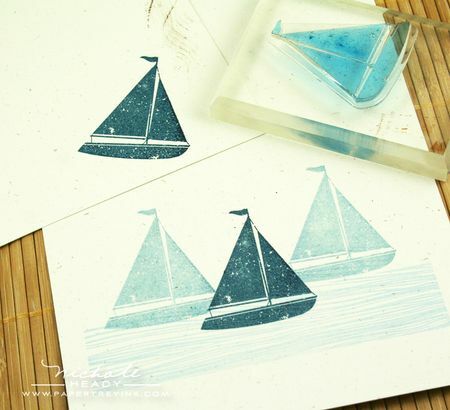 Love the Wood Grain texture plate and the sailboat and fish stamps! My dad would love those! hahaha! All of these cards are amazing! I can’t wait to see the rest of the sets!!! Wow Papertrey Ink just keeps doing it again and again…. I love this manly set and the paper is gorgeous…. They are definite have to have…. I love these stamps! I’m always looking for something not so girly for the men in my life, and this is perfect! Wonderful ideas again – waiting patiently for release party tonight! Absolutely wonderful! Everything you have shown has been amazing – and so inspiring. I love it all! 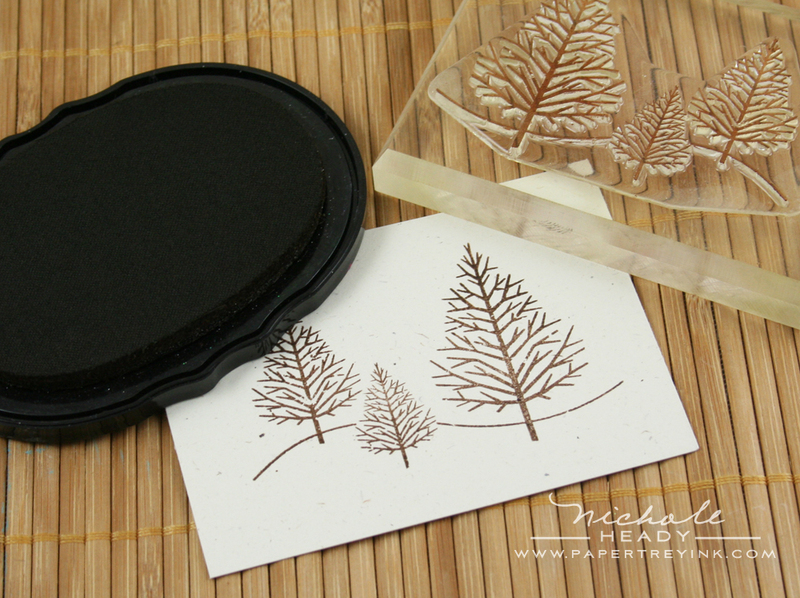 The woodgrain set and coordinating impression plate are my favorites as well as the trio of trees!! Wow what a wonderful set! Love it!! Oh my! The koi image is awesome!! Masculine cards are so hard to do but not anymore with these new releases. Awesome! You always make it look so easy, Nicole. I love it all. This set, Masculine Motifs, fulfills my need for some “man-ly” stamps. I particularly love the trees…the possiblilites are endless. Thanks Nicole…you’re awesome. A must have set! I have been waiting for it for a long time!!! 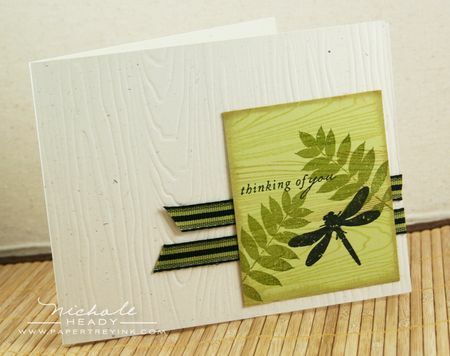 I LOVE the white and spring moss card with the dragonfly! I just love PTI! Every month you provide us with wonderful choices and beautiful ideas! Absolutely wonderful samples – I love the woodgrain impression plate. Holy Cow… I could really use some masculine themed stamps/plates. All my male cards end up looking the same. Wow, so many great images for masculine cards! 🙂 Awesome! Perfect for any stamper! I especially love the koi fish. 🙂 And well, I adore the woodgrain stamp — that’s just a gotta have set! What fabulous cards! I love the fern and dragonfly images best. They will be so versatile. When I’m not dreaming of argyles this week, I’ve been dreaming of wood grains. Those stamps go with everything!!! Okay this is awesome! So excited to have these sets for those (used to be dreaded) masculine cards. Nichole and team you rock! I LOVE everything from the release this month!! WOW!! Loving this whole set – wood grain and the masculine motifs are just amazing!! That Dotty Biscotti is perfect!! Love the Masculine Motifs and that Woodgrain impression plate …swoon!!! Oh the possibilities! Love this masculine set and that background, yummo. Thinking of lots of great ways to use these. Can’t wait for the big release. Wish I could order one of everything, it is so hard to narrow it down 🙁 Thanks for all you do. The more I see that woodgrain the more I just have to have it! And I am totally loving masculine motifs…love them for men and for the flexibility they offer–my mind is already working with ideas! Fabulous release!! When I saw your designs for Masculine Motifs I actually teared up. Those images made me realize that my little boy is growing up so fast and that in the blink of an eye he’ll be a full grown man. Thank you for designing a set that will help me commemorate all the milestones that he will achieve before that day comes. the woodgrain stamp and plate are great i am loving the man concept this month its hard to do man cards! Perfection! I have been waiting for a masculine set and this is simply perfection. The wooodgrain set and impression plates are must haves for my collection. Thanks for more amazing new products!! This is my favorite so far! My husband is a wood turner so we love all things trees and leaves! Awesome! Just in time for Dad/Hubby/Son’s birthdays and Father’s day! Yea! i just love that gold fish image– so great! Love, love, love Masculine Motifs! Thanks for the opportunity to win! So exciting, the perfect masculine set. I have 8 BIL’s and 19 nephews. I will never again dread having to come up with something for their birthday cards. Thank you for saving them from having to say nice things about drab, boring cards. so excited to see these stamp sets in use!! can’t wait for tonight!!! I’m in love! I can see so many uses for the woodgrain and the masculine motifs are wonderful. I may never have to buy a stamp set for guys again! I think this set is wonderful. So many uses for this stamp set. It is a must have for me. Thanks for the chance to win it Nichole! Thanks girls for all of the Masculine inspiration this month. Both of these sets are awesome, and I don’t think that I can do without the Woodgrain….that really adds a wonderful effect. Thanks again PTI can’t wait to see the entire sets! these are some really fun intros!! the woodgrain is awesome. I have been needing something like this. 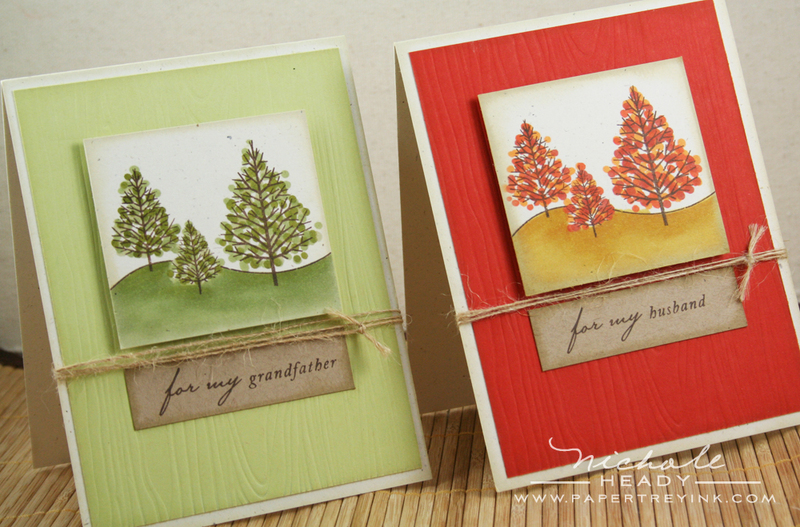 Love the cards you did with the tree stamp. I really love everything papertray has to offer. Thanks for the chance to win. Love all the images in the masculine set and it all of the new sets being released this month. So many possibilities. Can’t wait to get them all! Awesome new sets! Can’t wait for the release party! I love all the great ideas, keep up the awesome work. The new stamps look great to play with. Love that dotty biscotti paper! love it! Ok I have said it with every set revealed so far…but I love this one and have to have it!!!!!! The stamp sets and the inspiration keep getting better and better. I really love the variety of images in masculine motifs and the versatility of the sentiments. Keeping my fingers crossed! Absolutely a must have to my PTI collection! I think this new set is wonderful! I love the technique you used to make the leaves on the trees, looks great. Love the woodgrain stamps and embossing, these will be must haves! Hooray! This is the best month ever! The men in my life will start getting some new cards rather than the one or two designs I have in my idea files now. I especially love the wood grain!! I really love these stamp sets and cards. These would make it a lot easier to make cards for the men in my life. I am so excited about these sets! I can’t wait to start making tons of male themed cards! This has been a truly amazing month for new products. I don’t know how you can always top the last month, but you do! Thanks for thinking outside of the box. I watched Dawn’s video yesterday about the woodgrain! So excited for that set and the embossing die. Haven’t tried those yet from you – need to on my next order! Love your projects and the new stamp sets. Dotty biscotti, impression plates, too cool! Boy, do I need a masculine stamp set really badly? I don’t have much at all. This set is perfect! I predict this will be a huge release for you. You have filled a void. Orders will be fast and furious. Mine will be in the list! How amazing! I love these stamps!! The Masculine Motifs are gorgeous, and that paper is beautiful! This is a great release! I like it all, but I am in love with the woodgrain background stamps. They solve the problem of how to cover an entire card front without having one huge stamp. Very clever! Love that embossing plate. Such a subtle way to add a masculine touch to the cards. I can’t wait to go and see more from the team. Okay – I’ve solved my budget problem from yesterday. I’ll just have to get a part-time job so I can always order the I Want It All package. 😉 I was sold on the Woodgrain stamps and impression plate the minute I saw them and I am loving how the Masculine Motif collection works so well with it. I appreciate that it comes with all those masculine titles. This whole release is a winner. I really like the masculine theme for this month. I think it’s great that you not only have stamps, but impression plates, backgrounds, new papers, etc. to make guy cards. Your inventiveness is soooo impressive! Love PTI. I really need these wonderful masculine sets in my collection. Definitely on my wish list. I love the cards that were made with the nes sets. Its going to be another want everything month. I love the copic leaves on the trees! What an awesome idea. I really like the wood grain background as well. I have really enjoyed this “male” themed release. And just when I thought I didn’t need every set, you have once again proved me wrong!! My husband thanks you for that!! I absolutely love the simplicity, yet elegance of your cards! The DT has also done an amazing job with these sets. All of these are “must haves”! Thanks for filling the void! This set look like a must-have! 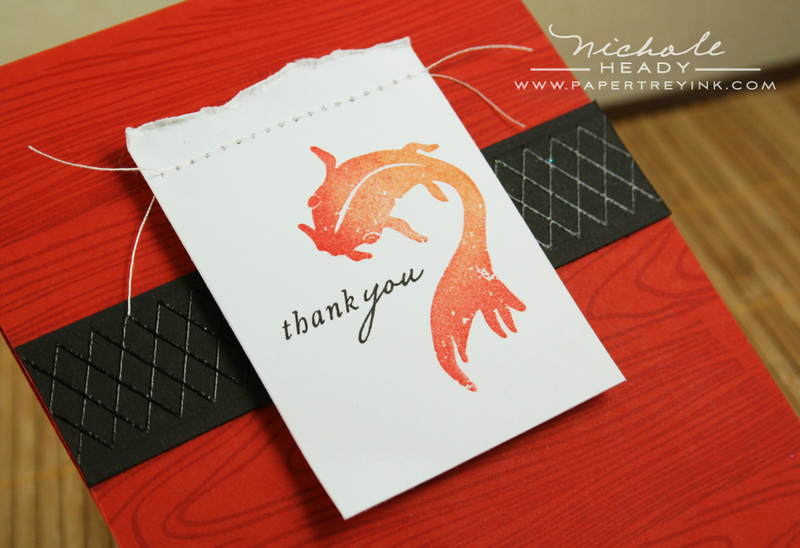 I love the images, especially the Koi fish (and I love the sample card you made with it…just stunning). You’re so right! Those images are perfect for masculine projects! And that woodgrain…. how fab is that?!?!? Can’t wait for the release tonight!!!! Thank you for making a set dedicated to men. This will make things easier and the guys in my life will enjoy the crafts I make for them! Keep up the good work! I love the dotty biscotti paper…yummy! I also really love the woodgrain as water…genius!! Thanks for offering the great prizes. I really enjoy making “male” cards as a break from the “girly” BUT it is NOT easy LOL!! With these new releases it will be a real breeze!!! I am in LOVE with the Dotty Biscotti!!!! I have friends and family that have cottages in Bay View Michigan; sailing is a way of life! I can see thank you cards, some personalized stationary. Wow, I thought it couldn’t get better than yesterdays sneak peaks, you ladies rock! AMAZING!! I love all of the masculine themed stamps and ideas. I always seem to struggle to come up with ideas for “manly” cards. This months’ collection of stamps is “over the top”! I can hardly wait to get my hands on all of them! The masculine sets are a “must have”. I LOVE everything… as ALWAYS! 🙂 Fantastic examples!!! Wow! You have done it again… “I Want It All”! Oh, how I love your projects today. The Masculine Motif’s set would really solve a dilemma that I face quite often. The woodgrain impression plate and the Woodgrain stamp set offer such a wonderful, subtle layer and gives a weathered look. Truly amazing! I just marvel how you and your team create such winners each month! Thanks again for all of the hard work that you do to bring all of this together to make “This time of the month” so special to all of us. Simply amazing! What a great variety of images. This is completely all the masculine images you need in one set! Dawn’s woodgrain and Dotty Biscotti are awesome too. I love how the woodgrain background is 3 interchangeable stamps rather than 1 large stamp! Very exciting sets! You have demonstrated how versatile these stamps are with some amazing projects. That sailboat card is simple but packs a punch. The koi card and dragonfly card are both amazing. TFS. I love the peaks at Masculine Motifs, but the woodgrain background set and impression plate has really gotten my attention. I love that the design team has shown so many variations on using these stamps and tools – and so many of my current sets could be made more masculine with a little help from color and texture. Once again, another fabulous release month! I’ve been eyeing those woodgrains all week! I can imagine tons of possibilities with masculine images too. And I’m pretty sure I can’t live without the dotty biscotti paper. Yay! FAbulously Masculine! Love how simple they are and yet eye catching. I have been seeing the woodgrain everywhere these days so it’s nice to have the stamp set AND the impression plate. I’m honestly not dreading making masculine cards now either! Can’t wait to get this set into my hands ASAP! loved the way you used the wood grain as water–clever! I can’t believe it’s already the last day of the countdown. I have so loved all of the peeks and the gorgeous creations from you and the DT. And today is just the same.. wow, beautiful cards! I need both of these sets and that fab paper! They’re so versatile and perfect for the special men in our lives. Love the sets and thanks so much for all the ideas for masculine cards coming from all the designers this month! Can’t wait to get inky with all the new stamps. What a great stamp set! I love all the projects you shared. This is going to be another one of those “gotta have it” stamp sets! Another great Release. I can’t believe how you gals always come up with such great ideas. Keep up the SUPER JOB. Bravo, Nichole and Dawn…these sets are so masculine, and yet, I can see so many other possibilities with them as well…love that fish!!! Love all the masculine ideas this month, not to mention all the other ideas too! Looking forward to the release part TONIGHT! With 5 boys, I am so in love with this release!! And the woodgrain is absolutely to-die-for!! This wood grain plate and stamp are amazing! What a great way to add texture to “male” cards. Man cards are the worst. You have made this so much easier. Thanks! 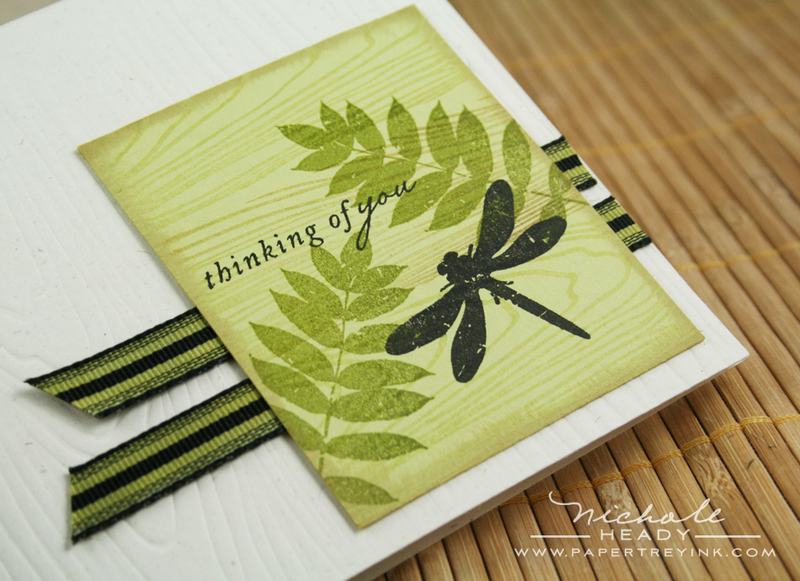 I love the fern leaves and dragonfly stamps! Way to go! These really fill a need that we all have for making things for our guys! Can’t wait to see the full release! 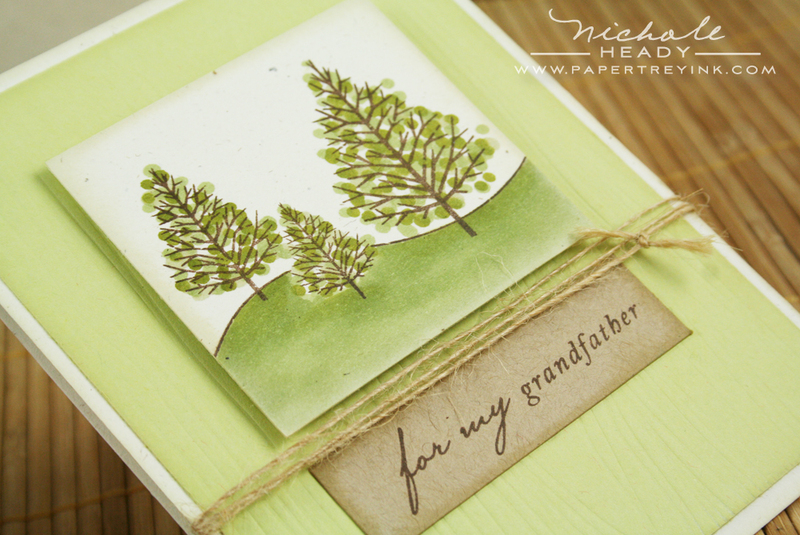 I LOVE these projects – especially the “tree” cards. They are beautiful. This set has so many possibilities! A wonderful variety of masculine cards! I love the masculine motifs and was in awe from the 1st picture I saw. Love Love the tree trio, the sale boat and the Dragonfly!! The wood grain background and impression plate are a must have for me!! Can’t wait…can I be more excited!! A great release. I can’t believe how creative you all are. This will be so much fun!!! Holy cool stamp sets Batman! Love it! Thanks for creating great, versatile stamps to use for the boys in our life! Dotty Biscotti…love it! And I do love the stamps, too, of course. Thanks again for the awesome ideas. I can’t say enough how impressed I am with each monthly release and the wonderful ideas you all provide for us. Thanks so much!! What great cards! I love the Wood Grain impression plate and also the masculine set will be a MUST HAVE! Every month PIT rocks with their releases! This is so incredible. The projects are so amazing. Love this release! Can’t wait for tonight. Love the trees! So easy to decorate for the seasons. I also love the wood grain. My husband is a wood worker and I could see myself using it for many projects with him in mind. Thanks for the opportunity to try them for free! I can’t believe how wonderful these cards are!! I love everything about them, colors, textures, and details. I wasn’t sure about the woodgrain, but now I am sure that I really like it!!! This will be lots of fun! And I looove the Dotty Biscotti! Anything with Kraft paper/color I adore. I’m really lovin the woodgrain! 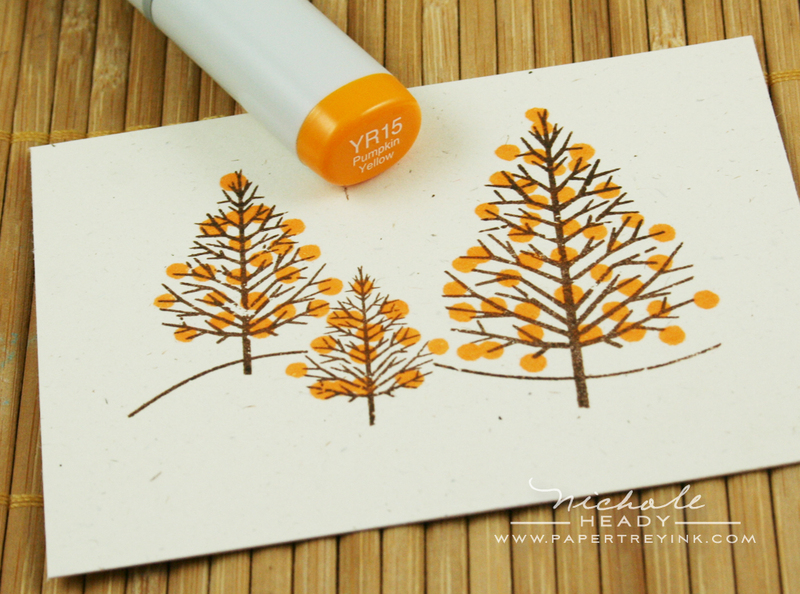 And I love the tip on using copics to add simple dots to the trees… awesome! Beautiful work! More goodies to play with!! I love, love, love the globe & “you mean the world….” sentiment! I rarely make “male” cards because I can never find the right stamps. This set really inspires me. Wow, I really like this woodgrain! I didn’t think you’d win me over with this one, but you have! Looking forward to seeing all the sets tonight. Thanks for another amazing countdown. Another great set! I especially love the woodgrain look. Thanks for more great products! Every month you give us the world! I’ve been hoping for an earth stamp and here it is…PTI-style! Love all the possibilities in the motif set! Fantastic! I have been yearning for more men suitable images and sentiments, and this month you have done a great job. Also going to have to try the woodgrain impression plate(already have several of your great dies) and of course NEED the woodgrain background. How awesome if I won them! Oh My Ganache!! PTI has done it again – but of course that is not a surprise – they rock! Masculine Motifs, Woodgrain Backgrounds (stamps with matching impression die), Enjoy the Ride, Fly Away, and A Little Argyle (once again awesome stamps with a matching die to die for!) – what a testosterone filled release month! All perfect for the men in our lives. PTI has once again filled a major void in the stamping world – Thank You!! WOW…those really would make masculine cards fun! Love the YUMMY Dotty Biscotti! AND the new masculine stamp sets are truly awesome! Your cards are so imaginative and creative, Nicole…do you ever sleep :o? Off to visit the design team’s projects now…. This is the most masculine stamp set that I have ever come across. Good for you PTI! The accessories are a great addition. So fun! I love making masculine cards so these ideas are definitely going in my inspiration file. Love these wonderful masculine images! I can see how the woodgrain background could become addictive. The sailboat image would be so great on a baby card, too. Love this set, its a must on my list…. Must have both new sets … and the impression plate. Too many great sets this month, that’s why I love PTI so much. i’m in LOVE with these two sets…so MANY possibilities! and both lend themselves so easily to all of the guys in our lives. just perfect! I love how you colored the trees with Copic Marker dots. And of course beautiful sets to make masculine cards. The woodgrain stamp and plate are wonderful. I have been looking for things with this. The new “dottie biscottie” paper is so pretty – more things for my list! I really like this set and can’t wait to see the rest tonight! Oh gosh I’ve so horrible about masculine cards but your ideas are so inspiring! I love all these images and how you’ve incorporated them with manly colors. Great set!! Husband, two sons, grandson, father, brother-yeah I make tons of masculine cards! I’m SO looking forward to these great sets. Thank you so much! The woodgrain stamps and plate are fabulous. Dawn really put a lot of thought into these. Love how you used the stamp as water. Your cards are spectacular again, Nichole. Love the masculine motifs set! Another stamp set to be added to my ever growing wishlist. So excited to see that new paper, and I love the name of it too! So fun! The woodgrain is gorgeous! I love it so much! Thanks for all the inspiration and great products! WOW..What a great set of stamps! I have just been struggling with making two April birthday cards for men…I think this set is a ‘must have’. These cards are wonderful. I have to have these sets to make some fantastic cards for the men in my life! I have never won anything on the PTI countdowns and have to say this is probably my favorite group I’ve ever hoped to win! LOVE the stamps so so much (both sets)! The koi fish card is very nice and I love the sketch concept! The woodgrain is super cool and I enjoyed reading about coloring ribbon! Thanks so much! Love the Masculine Motifs set! I really like the ferns and trees, they could be used for so many things!! PTI designers have hit the mark again! These sets are the perfect building blocks for masculine cards. Absolutely yes! to these new stamp sets!! I LOVE the woodgrain impression plate! I am definitely getting it. The stamp set is so innovative. Who would ever have thought of a 3-piece woodgrain background stamp set? I can’t wait to see the rest of the Masculine Motifs set – the samples are gorgeous! I am constantly in awe of the fantastic products that Papertrey has. These sets are wonderful! The Masculine Motifs set is full of things I’ve been looking for and unable to really find for the last month now. Nice. It’s just so nice to see more options available for man cards! Love these! I always struggle when it comes to making cards for the men in my life. I can’t wait to get my hands on all the new stuff and create some ‘manly’ cards!! Great stuff! What great choices for masculine images! WOW!! Can I say I am very impressed?? This is just F-A-N-T-A-S-T-I-C!!! What great ideas you have given us today! You offer us so much. I will try to be part of the happenings if I can get my times right tonight. I’m on Central DAYLIGHT time not STANDARD time. Was the post correct about EST? I just love the wood grain stamp set and impression plate!!! Those are definitely must haves! The masculine stamp set is perfect, and will fill in the gaps that most of us have in our stamp collection:) I’m so excited for the release! Wowser Dowser!!! Just when I thought you couldn’t get any better…what did you do??? Got better…these sets are just perfect!!! Thank you PaperTrey!!! You are the greatest!!! So excited! And love the name Dotty Biscotti! I am loving this month’s release so much! I have mostly men in my life so these ideas, tips, projects, and sets are perfect for me. And I have to say, I thought the woodgrain stamp and plate were okay to begin with, but the more I’ve seen it used this week the more I love it! And I’m really looking forward to seeing the entire Masculine Motifs set. Thanks for gearing more to us who live with and create for a lot of men! What a wonderful release this month! I love the masculine theme! I’m most excited about the woodgrain! Both as stamps and texture plate!!! Great Copic ribbon tip! What an awesome masculine set – great job, Nicole! This is definitely on my list along with the woodgrain stamps and impression plate—I love them all!!! And the Dotty Biscotti–MUST have it!!!!! I absolutely love everything you have shown us this month—can’t wait! These are the best masculine cards I have seen, and they are simple to make with your amazing products. Thanks for the inspiration! I really need these stamps! These are the must have sets from this release…I adore that koi and the woodgrain plate will sell out in seconds is my prediction. And Dotty Biscotti…the topper. Can’t wait for tonight! Love the wood grain background and impression plate. Very cool! Also, I love your samples using masculine motifs, I’m definitely intrigued to see the whole set. I am so excited to now be able to include the men in my life with beautiful cards, too! Thanks so much for the terrific set and I can’t wait to get my hands on that Dotti Biscotti!! Another great set…the possibilities are endless…that’s what I love about PTI stamps! Masculine Motifs–talked about a much needed stamp set. I am sure this will be a must in every collection. Great examples today again showing the versatility of all the goodies. I love everything in this release! I can’t wait to try some new techniques. Love the Father’s day ideas. I love the woodgrain backgrounds and I can’t wait to see more of the Masculine Motifs. I think this set is just amazing. Love it! Men’s cards are always so difficult – I think you hit the nail right on the head. I love the entire release, but my favorite is the woodgrain! What a versatile stamp set, and with the impression plate it’s FABULOUS! Endless possibilities and creativity, loving everything and my fingers are itching to get a hold of it all! Amazing projects and designs! 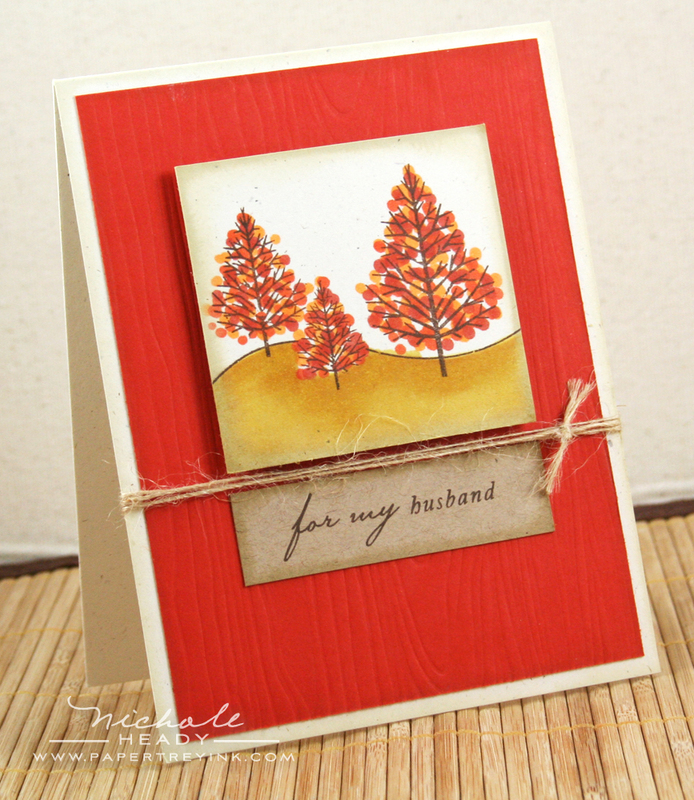 I adore Dawn’s woodgrain stamp set and impression plate and I absolutely fell for Nichole’s Masculine Motifs from the moment Lisa posted a card yesterday with a deer on it. My husband is an avid deer hunter so this set is a must. You girls rock! Oh wow!!!!!!!!! I absolutely love these and I love how you used the wood grain to represent wood and water!!! I just love all the masculine designs! Thanks for a chance to win some great goodies! What a great release! You all have outdone yourselves this month! I am looking forward to more “man project” inspiration with these goodies! Just love everything here. There are winners all the way! All of these are must haves. THANK THE GOOD LORD, a set GREAT for a guy!!! Being that I am surrounded by them in my family, I need this!!! Thank you for creating such a wonderful “male” themed stamp set. I stuggle to create a card everytime a guy in the family has a birthday so now I have lots of options! You are making it very difficult to decide what to buy tonight! LOL! Your samples are once again amazing!!! The masculine set and the woodgrain set seem wonderful! Can’t wait to see what’s in all of the stamp sets tonight! Thanks for another great release month! Great projects! Love the koi and I can’t wait to see the rest of this set! I need it so badly!! I’ve been admiring the woodgrain set all week – it’s fabulous!!! 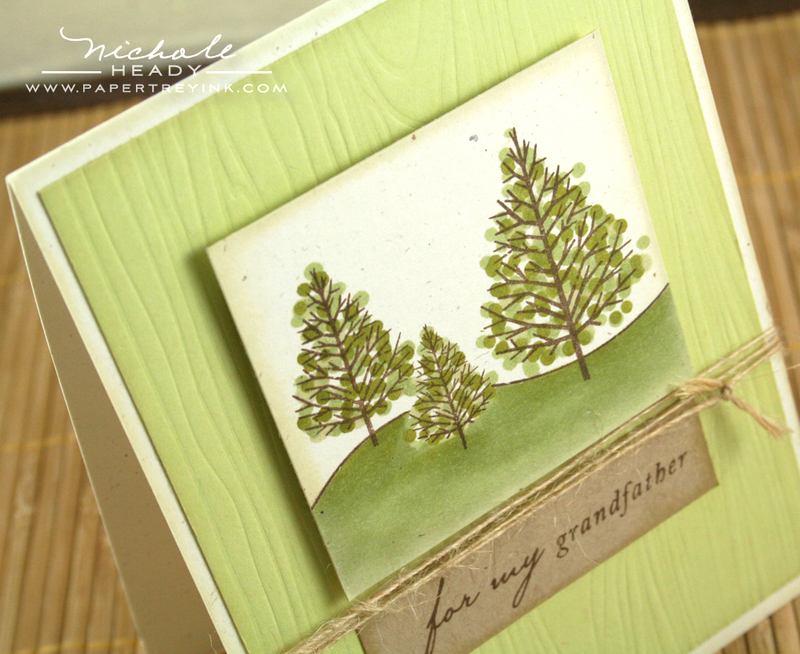 The Masculine Motifs are wonderful – I really love the trees and the samples you created with them. 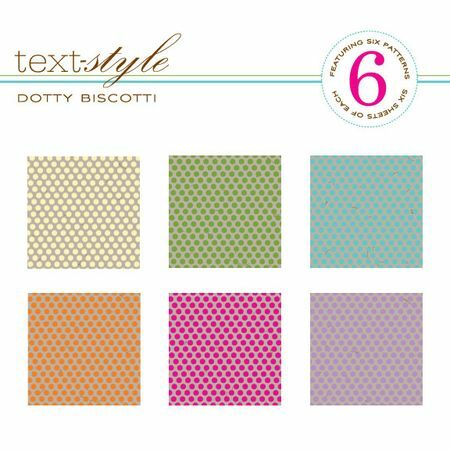 Dotty Biscotti – super cute name and wonderful colors! Oh, do I love those trees! And the fish, and the boats… I think I could make something even my father would like! Okay, your projects just sold me on the wood grain impression plate. I just love how it tied all the looks together! I am going to go broke this month. I love everything you have showcased! WOW..your cards are incredible. The mixing of different sets really adds so much. I don’t even know what to say anymore! This is all so breath-taking and you have done a superb job on creating and highlighting masculine products! I’m overwhelmed! So great to have more masculine choices. OH Wow…you ladies have out done yourselves this month…what to get first…oh no…what to get first…ok ALL OF IT.. I love the effect on the koi fish! Very cool and fun stamp sets!!! I’m so happy about this masculine-themed set! I love the tree image! Very cute samples. Love anything new for masculine cards. Thanks for the chance!! Fabulous selection of images–endless opportunities here! Love your samples. Thanks for expanding the PTI line with this great new masculine set! What wonderful classic designs! So versatile (of course, it’s Papertrey) and fun to use! Can’t wait to get these sets! So much good stuff! Thank you for the chance to win! Stamp designs for masculine cards are a big need! Friends are always asking for masculine cards and it is a struggle. These sets are a definite must have! I LOVE this set. Love the trees, the saleboat. Please please let me win. Thank you! Thank you! Thank you! I’m so excited about all of the maculine themes in this release! I likey! Maybe that isn’t a strong enough word to describe my true feelings. GOTTA HAVE IT! is probably a better representation! Love all the images and sentiments from masculine motifs and you sure made me a believer today about the woodgrain impression plate and background set too – was on the fence about it before. Really useful set. That fish image is incredible – you can almost feel the movement….must have!!! Thanks for the opportunity for a prize! I didn’t think I’d want the “woodgrain” stamp but after seeing all the ways you used it, I’ve definitely changed my mind. I’ve been reading Dawn’s blog all week and have fallen completely in love with Wood grain! And your masculine stamps. Love it! I just LOVE all of the new items being released this month….I WANT ALL OF THEM!!! The designers did an awesome job as usual…I will definitely be in the doghouse with my husband because of all the PTI products I plan to purchase. Thank you for the inspiration, you guys do good work!!! Love the samples and all the new sets that will work great for masculine cards. I find they are the hardest to make for me and I know this will help me create great cards for all the men in my life. Love the woodgrain impression plate. Amazing! Amazing! Amazing!! What an inspiration!! Thanks so much!! I just want to buy every single thing!! Wonderful stamps – beautiful cards! You got me. These samples are incredible today. Now my list is nice and big for the release tonight. I can’t wait to play with these masculine designs. Thanks team for another fabulous and inspiring month. Just perfect, and I can see them being very versitile and not just masculine cards. Wonderful once again!! Love the masculine emphasis this time around. Great projects one and all! Wow… I love both sets and all the sample cards. The globe and the sentiment are simply perfect together. You’re brilliant, Nichole! Thank you for designing a masculine stamp set. I needed it! I knew I had to have the woodgrain set, but now I’m convinced that I have to have the matching impression plate, too! 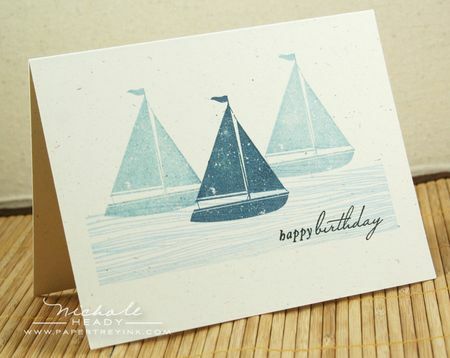 Thanks for sharing all of your inspiring samples… I’m lovin’ your one layer boat card! It’s just not fair that you are releasing so many stamp sets this month that I’m now convinced are Must Haves! Thanks so much for addressing cards for the men in our lives. These are all great sets! We now have no excuses for not creating great cards for our guys! Finally, a great set for guys. Love everything I’ve seen over the past five days! I love this set! So totally need a masculine set just like this! These sets are what i have been waiting for, i can not wait to start creating! The trees, the boats (maybe for my baby thank-you’s)hmmmm, i can wait to place my order and to get creating. These two sets are awesome! I love the wood grain look on the cards and the masculine set will make it so much easier to make those hard-to-make cards! Thanks for coming up with these easy to use, easy to make masculine sets! Oh well. There goes my budget again…..
I’m so excited to see more masculine sets! I have a tough time making cards for the men in my life. These definitely will make it easier. 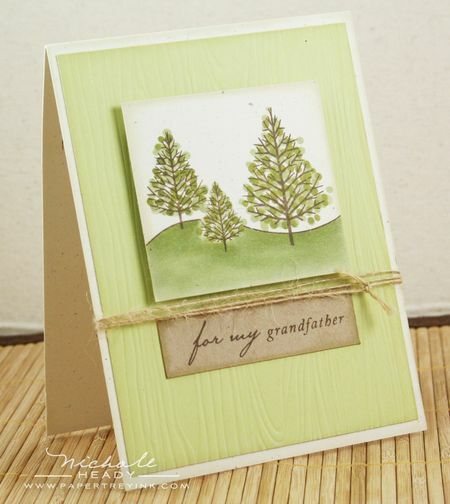 Love your tree cards with the woodgrain embossing. I love the wood grain patterns! It is great for many styles of cards!